After weeks of just swatches, I wanted to take a break and go back to nail art for a bit. I also wanted to put my new dotting tool to a test (bought last August). 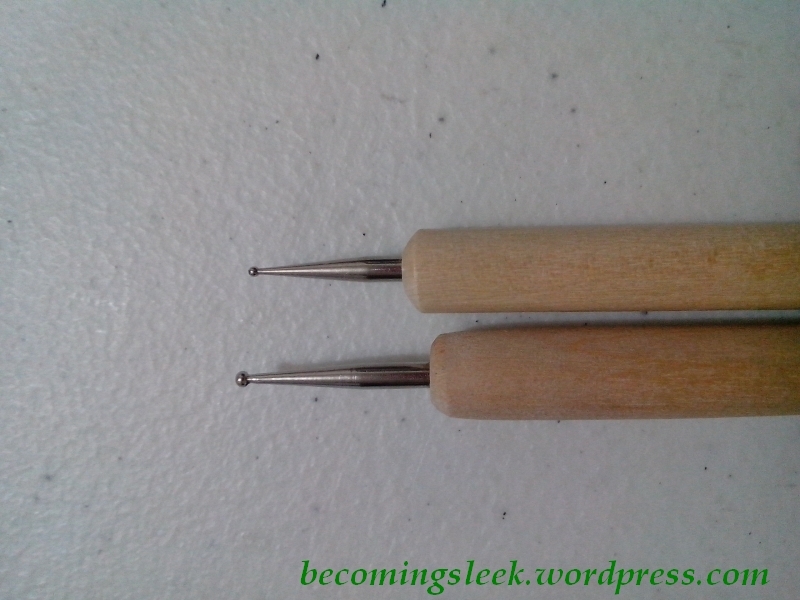 Here it is side by side with my old dotting tool (the one with the bent head). 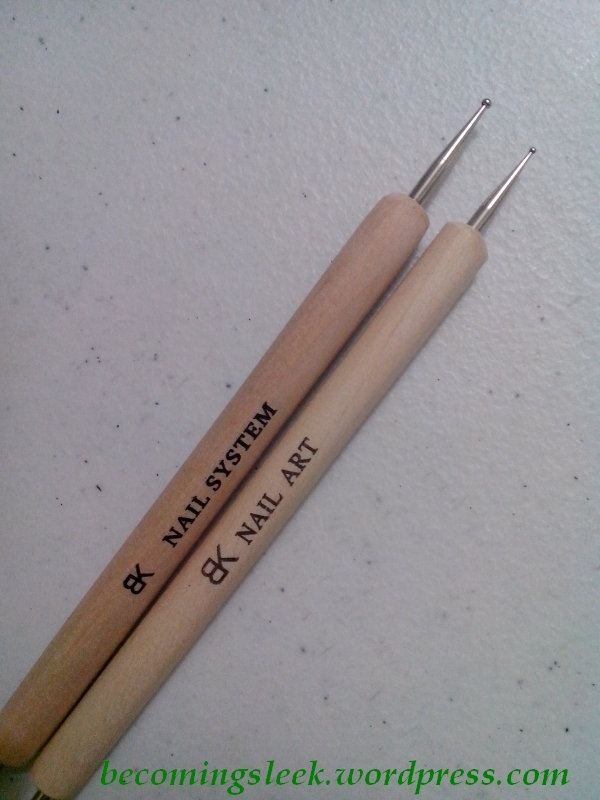 Both are by BK Nails, the new one is the one on the right on the first photo. I just wanted a simple nail art composed mainly of dots. My inspiration is from this black and white nail art but instead I used greens. 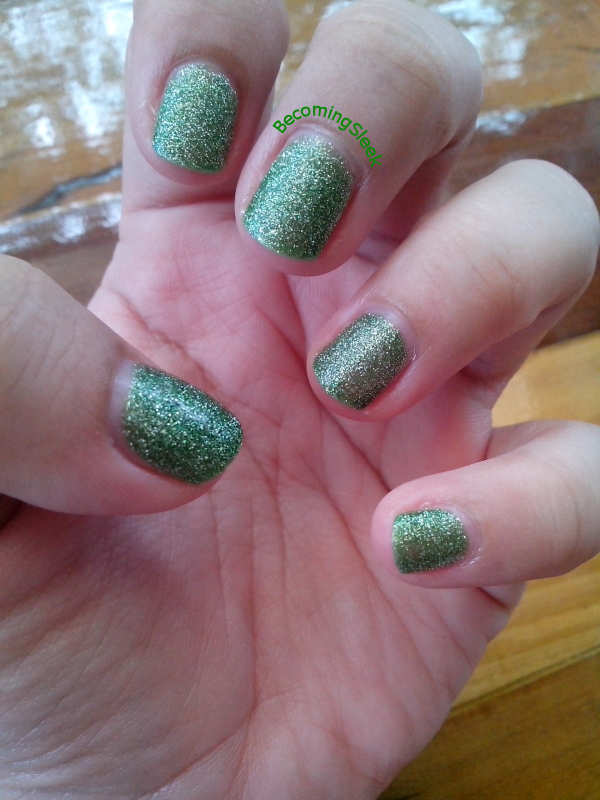 For this nail art I used Models Own Jade Stone as my base color, Dazzle Dry Me d’Forest Queen and Polar Jade for the dots. Prep the nails using the Dazzle Dry Nail Prep and Base Coat. 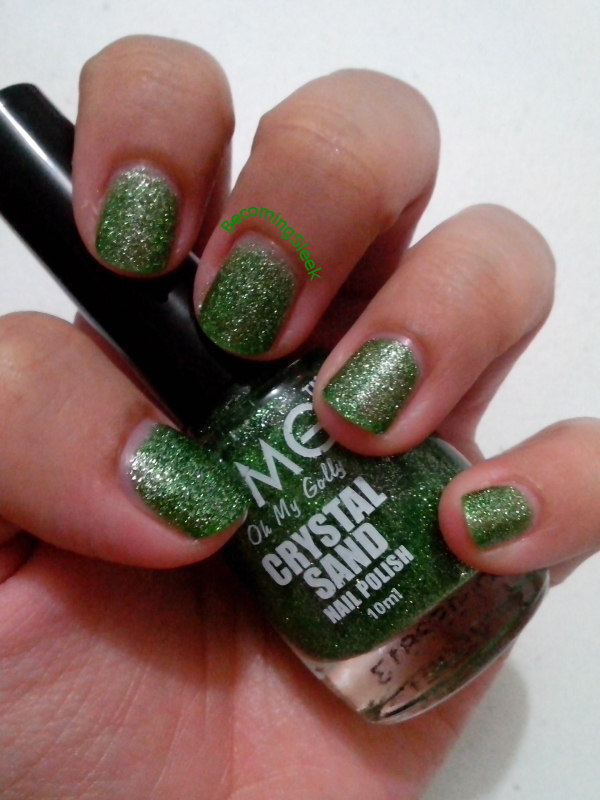 Put two layers of Jade Stone on all nails. 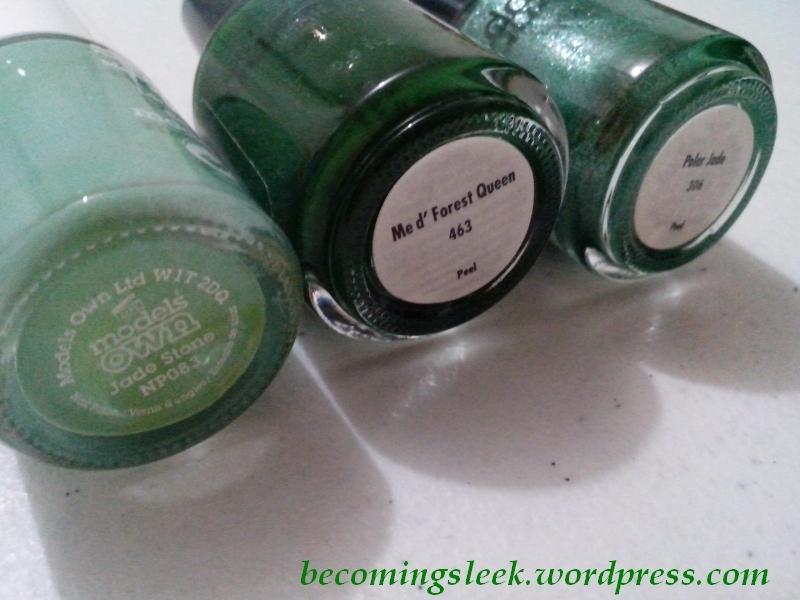 Using the dotting tool with the bigger head, put three to four dots of Me d’Forest Queen randomly on all nails. Using the dotting tool with the smaller head, scatter many dots of Polar Jade around the bigger dots. Top with Dazzle Dry Top Coat. Check it out. It’s quite simple, yet striking! In dimmer light the darker green of Me d’Forest Queen looks almost black. I went a little crazy with the small dots on my right hand. The sparkles of Polar Jade is more evident in sunlight. What do you think? Simple, yet effective! Here are my favorites for the month of September. As I mentioned in the unboxing, this is one of the reasons I bought the SM Beauty Box. I wanted to try out a hair oil specifically for straight hair (even though mine is quite wavy), and this one really performs. The scent is wonderful as well. Much raves I have seen for this mascara, and I am glad to report that I find the raves to be true. This mascara really gives that much-needed length and volume to my sparse lashes, and stays on pretty much the whole day. It takes a lot of effort to get this off! 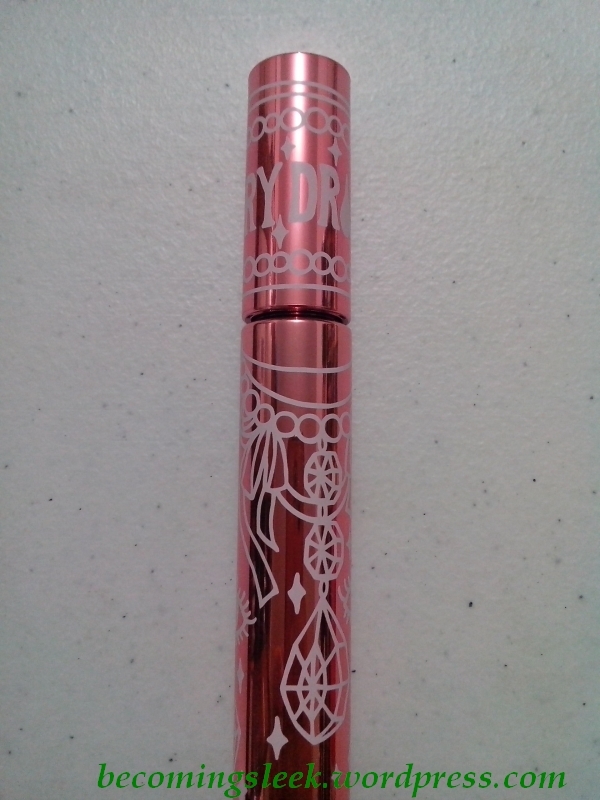 I got this mascara from the BDJ Elite Box Girls Night Out. 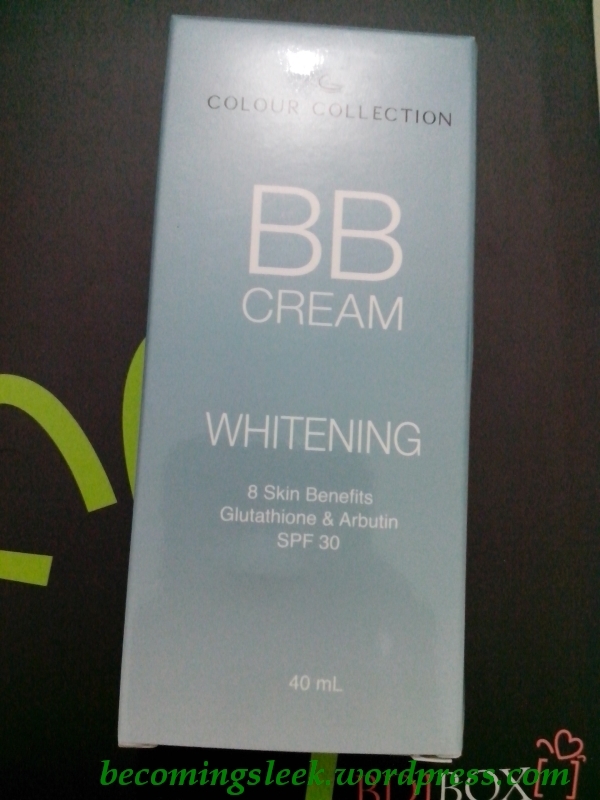 My collection of BB creams is growing, and thus I didn’t really expect to like this one. It takes a lot to stand out from the bunch, but I found that this BB cream from Color Collection is doing just that. I’ll update this with a link to the full review, but suffice to say that I am much taken in by this tube. I got this from the September BDJ Box. Gasp! A fragrance, in my favorites? Alas yes, I have to be honest and say that I am totally taken by this roll-on scent. I use this everyday and I feel that it holds on to me for most of the day too. The roll-on mechanism is a novelty as well; this is my first fragrance that comes in a roll-on bottle instead of a spray bottle. I got this from the BDJ Elite Box Girls Night Out. I really like to shade of this, a very bright and sunny green. 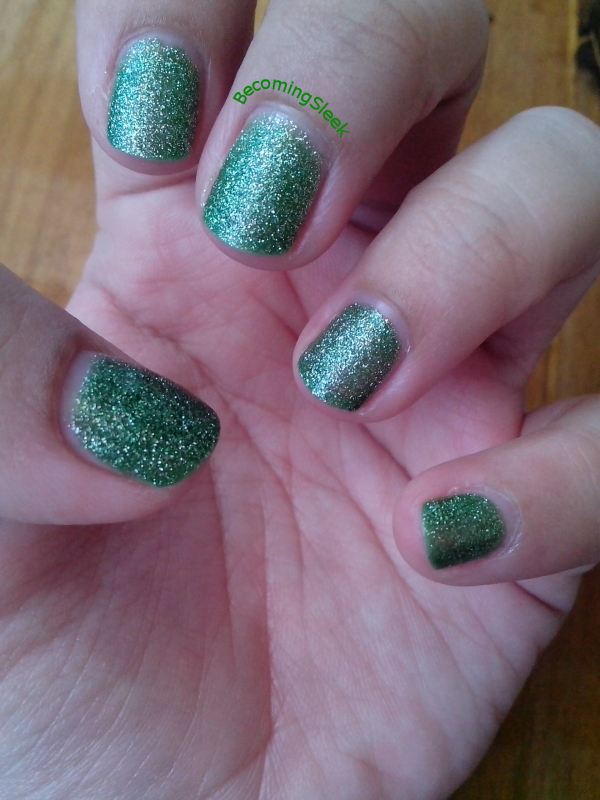 If I didn’t have a lot of new polishes to swatch, I would have worn this a lot more frequently. As it is, the quality of this polish makes me want to get more Models Own. 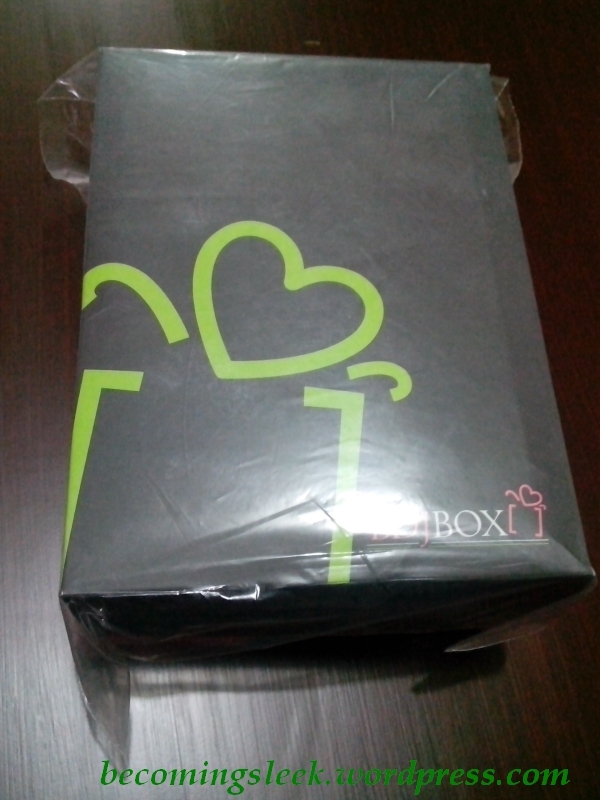 I got this from the Glamourbox Boutique. I am quite thankful to Sampleroom for making Shiseido Ibuki products available for sampling, as I missed the Shiseido Ibuki exclusive August box. 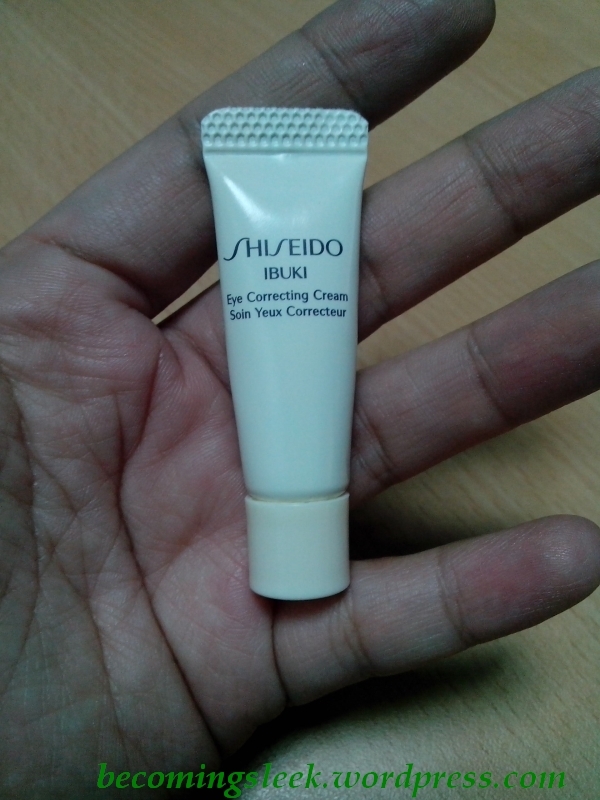 I was able to grab the one I wanted to try the most: Shiseido Ibuki Eye Correcting Cream. This costs 70 points at Sampleroom. 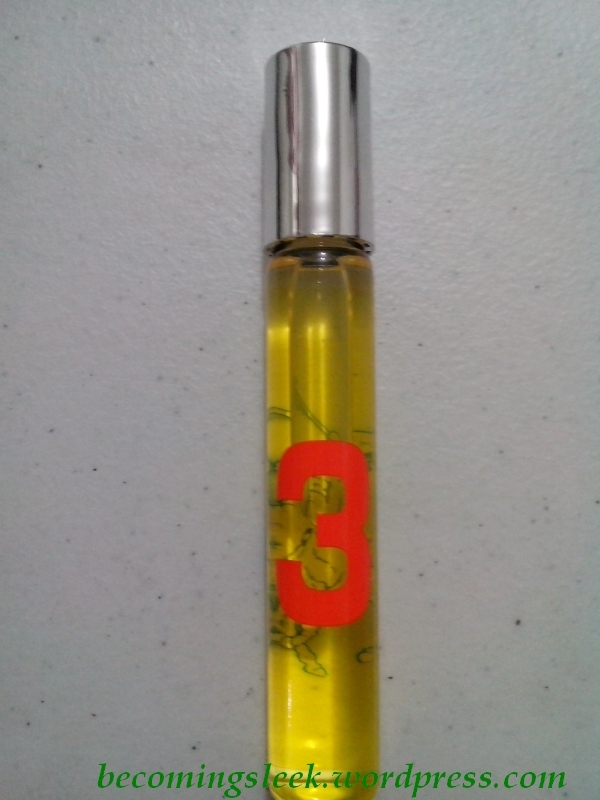 The sample came in a tiny 2ml tube, which easily fits in the palm of my hand. It has the clean white design of the Ibuki range. The Ibuki range is a maintenance range to keep the suppleness and moisture of the skin of 20-something to 30-something people. The Eye Correcting Cream, in particular, is a cooling eye cream that targets puffiness, dark circles, and fine lines (all three of which I have!). I’ve been using this tube once a day only, at night after applying cleansing and moisturizing. 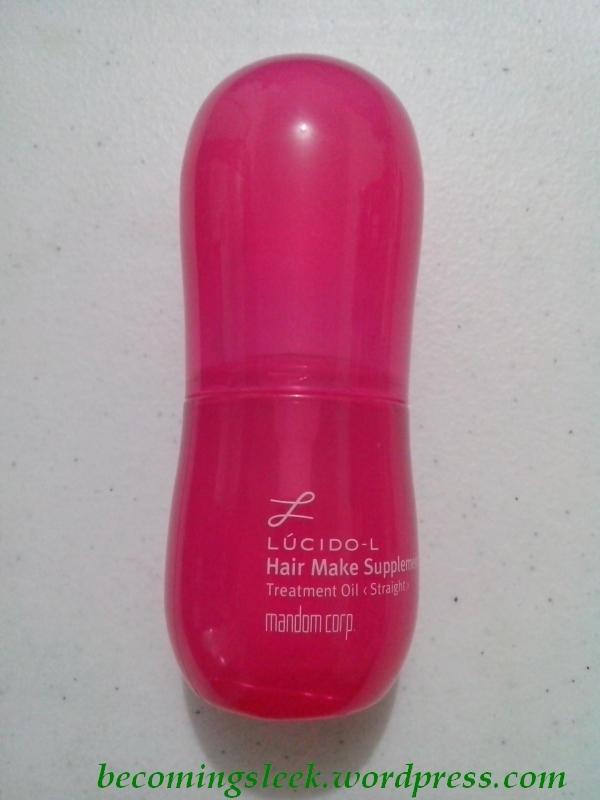 The product itself is a thick pink cream, and a little goes a long way. As my targets (dark circles, puffiness, and fine lines) are all located in my undereye area, that’s where I apply the eye cream. I can immediately feel the cooling action right after application. I’m almost done with the sample, and I can say that I am quite happy with the results so far. I really like the cooling effect. I can’t say much about the dark circles or the fine lines yet, but I definitely see a big reduction in the puffiness of my undereyes. Will I buy a full sized tube of this? 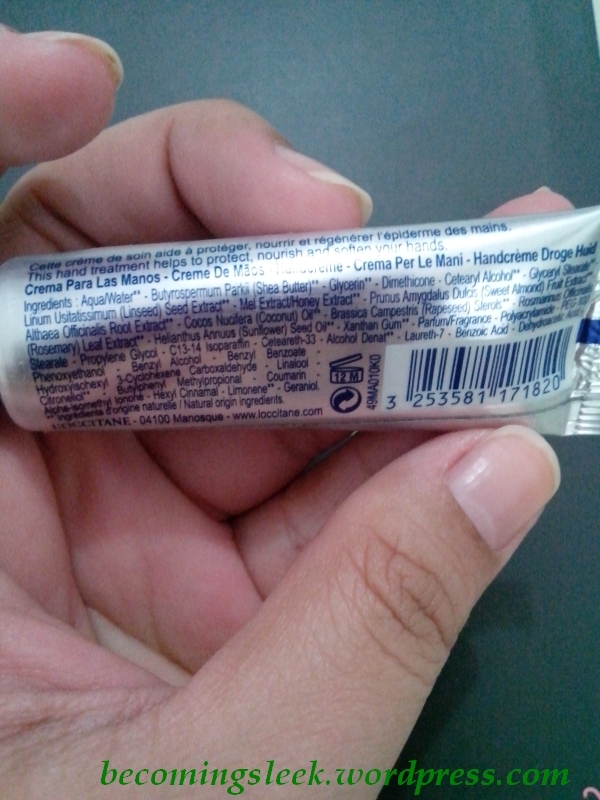 At Php1800 for 15ml it doesn’t sound so bad as other brands of eye cream can be more expensive. If I do have the funds for it I will definitely buy! This is one of the ways I make sure I’m ready for anything. Having well-nourished skin and a healthy body assures me that I can face any challenge that life throws my way. 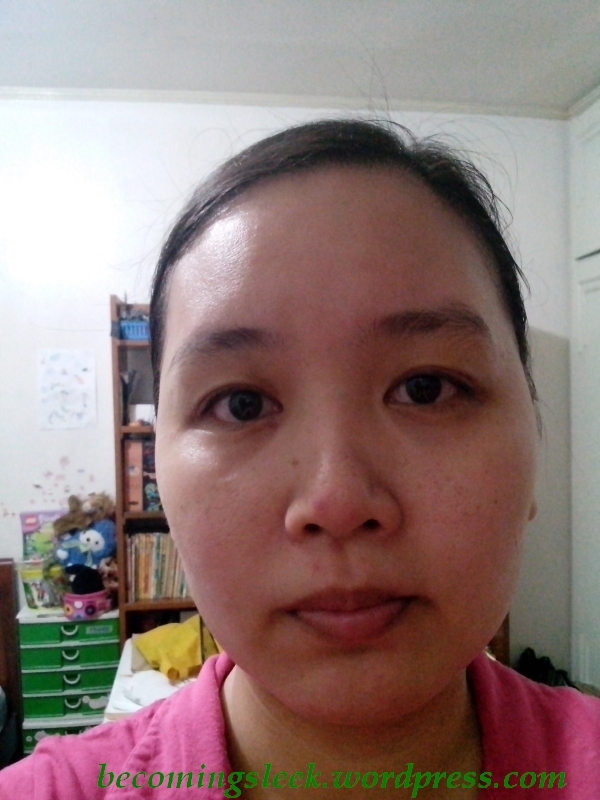 Disclaimer: This is my entry to the Sampleroom Shiseido Blog Contest. 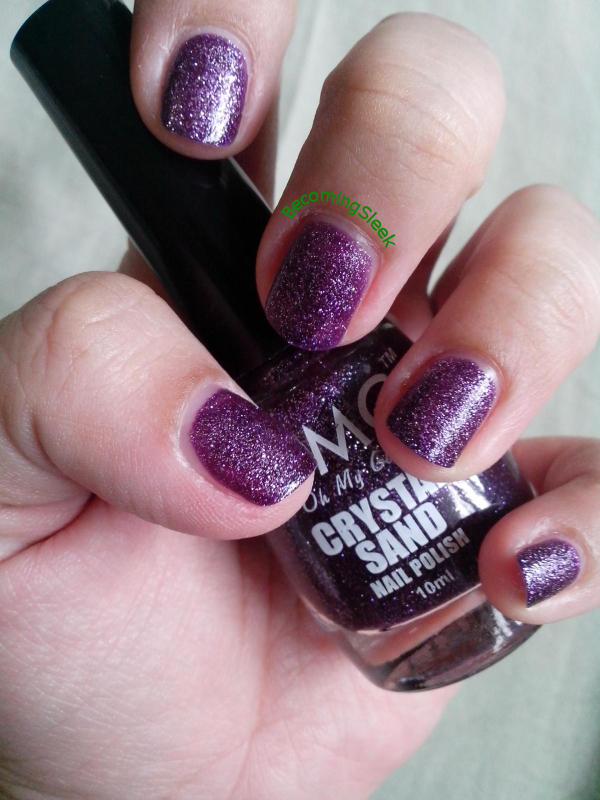 I’ve shown you in my massive August haul the three OMG Crystal Sand Polishes I purchased. Here let me show you them again. I’ve finally completed the swatches and will show you them shortly. Let me just talk a little bit about this line. 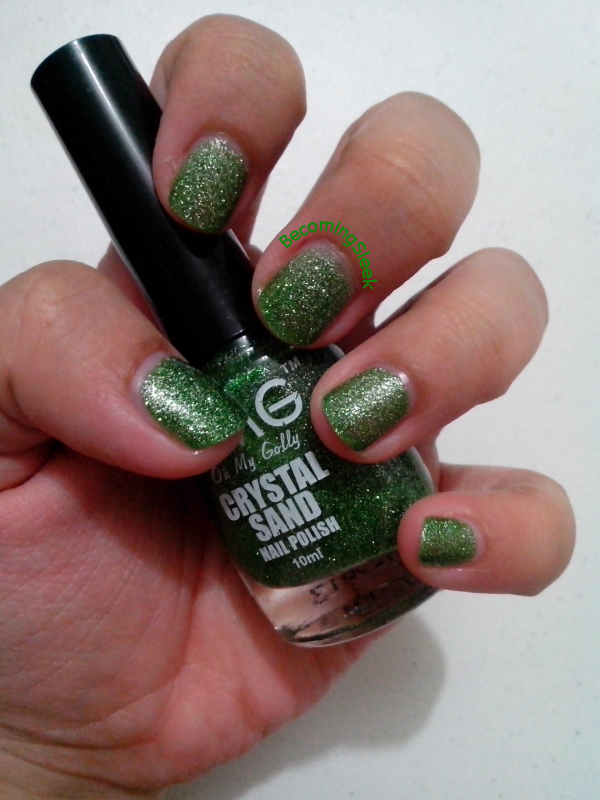 OMG (Oh My Golly by Klik) recently released this line of Crystal Sand polishes. 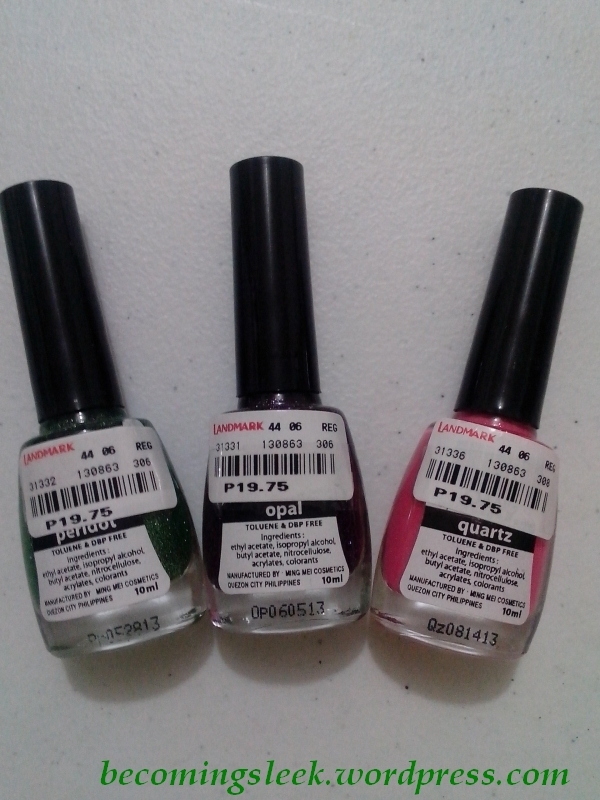 I think they have about seven or eight shades, but I purchased only three: Peridot, Opal, and Quartz. They are still in the amazing price of Php20 each, for 10ml. 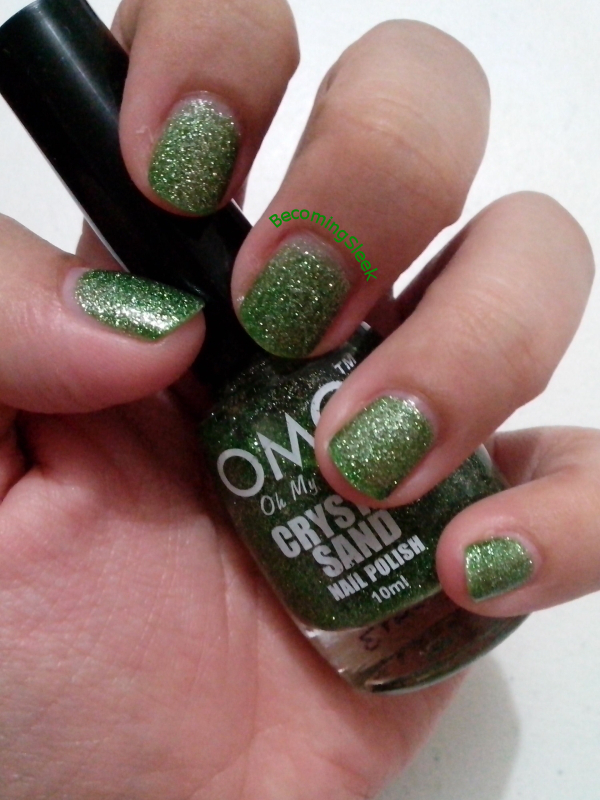 These Crystal Sand polishes are meant to be a texture polish, meaning no top coat should be used to fully take advantage of the “sandy” texture. Now, I had doubts as to the longetivity of a texture polish without the protection of a top coat, but OMG actually made a pretty high quality texture polish. You can really feel the sandy texture on the nails, although they do kind of smoothen down by themselves after a few days. I saw very little chipping from these polishes, and I wore each of them for at least five days. Without further ado! Let me start by showing you Quartz. This one was my favorite in the bottle. 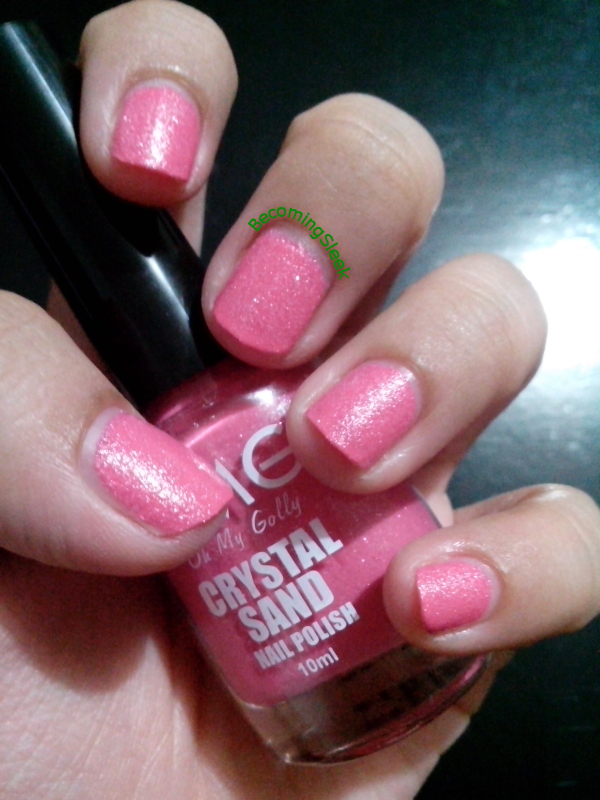 It’s such a bright bright pink and I hoped it translates well onto the nail. Unfortunately it didn’t. Not as much. I used only two coats here (in fact I used two coats each for all three shades), and it was a little dimmer than I expected. It’s still such a nice bright pink though, and the silver micro glitters really pop in sunlight. Unfortunately I wasn’t able to take sunlight shots of Quartz. Next is Peridot. It’s the lighter of the two green Crystal Sands available. I love how nice and glittery it turned out. I can imagine actually wearing this to a formal event since green-and-silver is a nice formal combination. It also pops out in sunlight. Here you can see the difference against the indoor shot above. The silver micro glitter is really the star of the show. Last we have Opal. I found it rather odd that they named it that, since opals are normally white or milky, with flashes of color underneath. 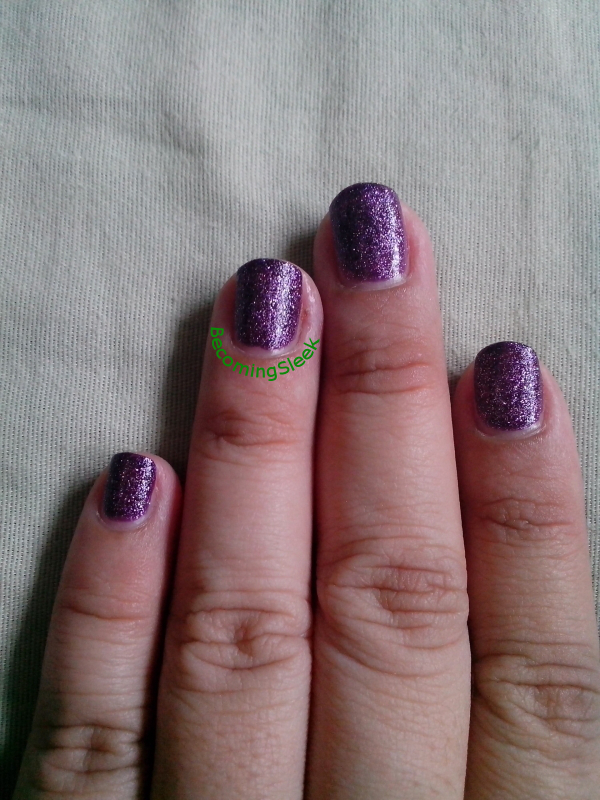 It is a deep purple with the same silver micro glitter found in the other two shades. The purple is very vampy. This isn’t actually an outdoor shot, just a shot near an open window. It’s about the same though, and you can see how bright the sparkles are when it reflects the light. I really love these three Crystal Sand shades, and I’m quite happy with the performance that I am considering purchasing the rest of the shades in the collection. They are after all only Php20 so it seems almost ridiculous to pass it up. 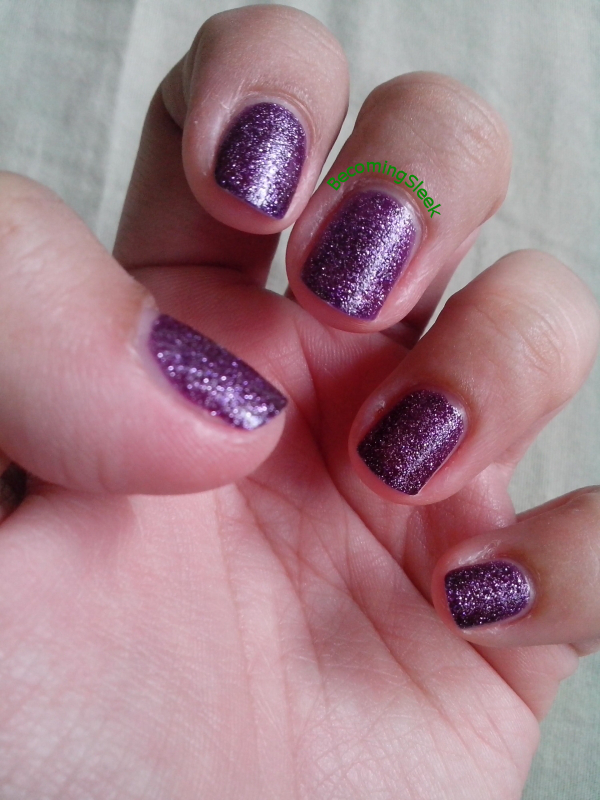 The texture is fun too, and I find myself touching my nails often because of it. Welcome to volume 3 of Saturday Shorts! This week we will talk soaps! This is my latest soap acquisition, and I was able to try it out through Sampleroom. I got a 50 g sample size for 30 points, but the full 150 g bar costs Php178. I’ve seen a Zenutrients stall at Landmark Trinoma, so I assume the full size can be bought there. This soap smells really good, almost good enough to eat. It feels great on the skin and it does leave my skin moisturized. I would definitely rebuy this, if not for my daughter’s objections. She inherited the sensitive nose from her dad and couldn’t tolerate the smell of this. 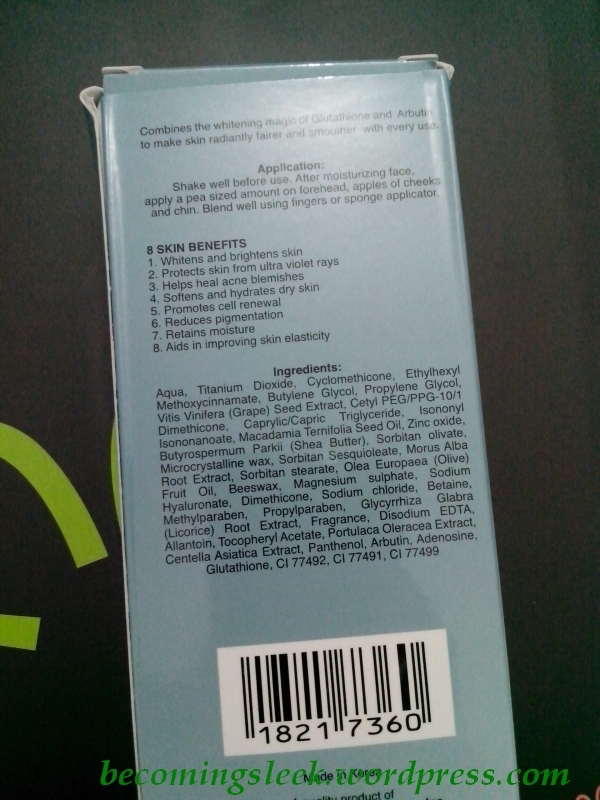 I received this in my April Glamourbox, and this is the full 130g bar which costs Php94. I haven’t yet seen this in supermarkets and drugstores, but you can buy this from the Glamourbox Boutique. 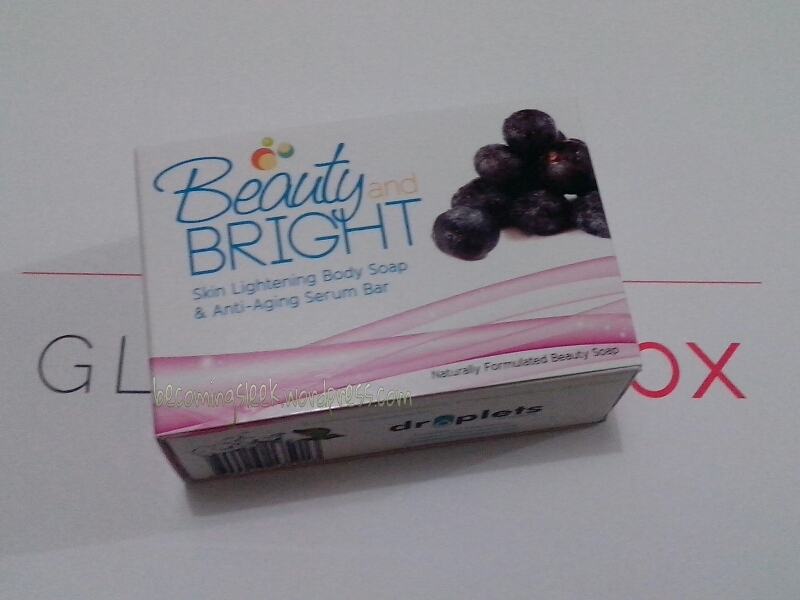 This is a serum bar, which is supposed to work on lightening the skin and keeping it moisturized. For some reason this doesn’t lather well, and it’s hard to tell if I’ve soaped all parts of my body already. 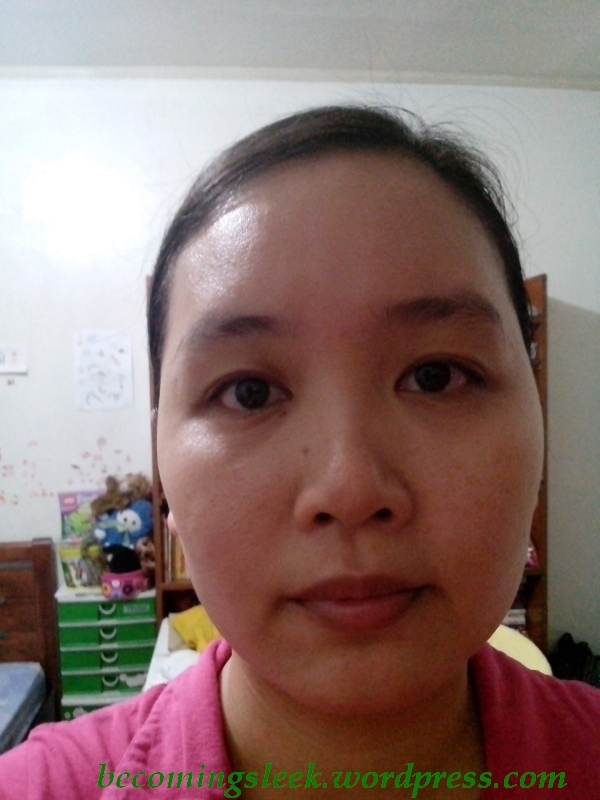 I haven’t seen any difference in my skin in terms of lightening, but it does keep my skin well moisturized. The soap smells strongly of berry. Would I buy this again? I’m not yet sure, I haven’t seen any big effects on my skin and my daughter also objects to the scent of this. This was one of the products included in my Peachy Pink Sisters prize (upper left corner). I brought this with me on a trip abroad and used it for the entirety of those two weeks. 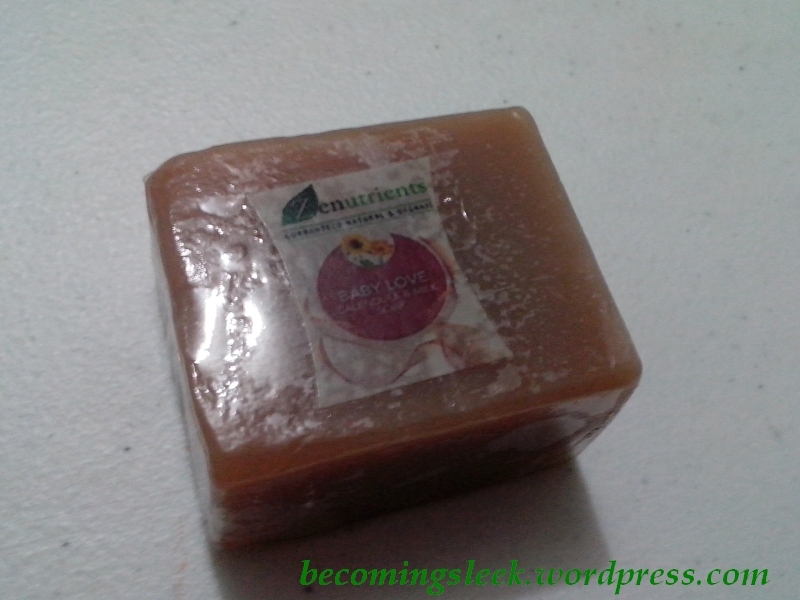 It’s a nice little square soap, with a distinctive rose scent. It served me quite well to clean my body and kept my skin well moisturized. It lasted well enough that there was quite enough of the bar left but I forgot to pack it when I went home. I have no idea where to buy this or how much this costs. 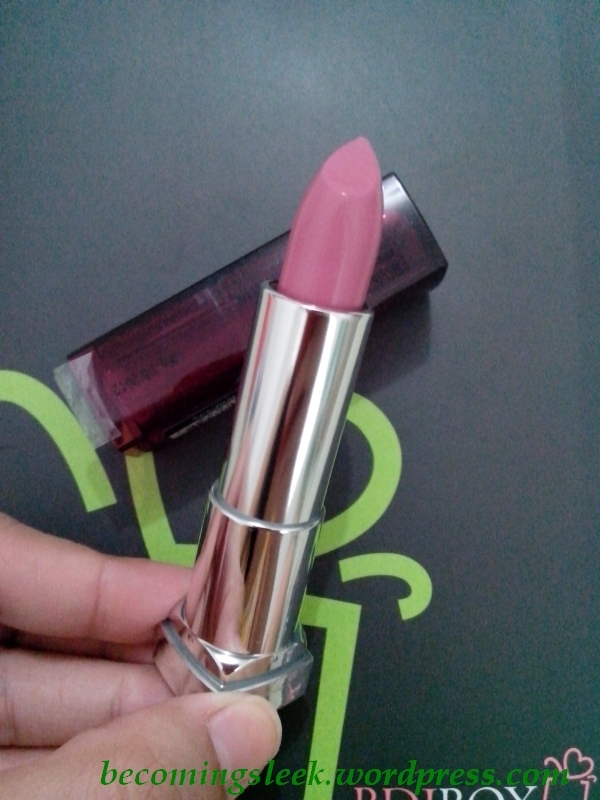 The bonus item that I got from the September BDJ Box is this Maybelline ColorSensational Lipstick in the shade 135 Make Me Pink. It was included in the box as compensation for bumping me to September (instead of getting the August box which I had originally subscribed to). I was excited to see this as I really loved my first ColorSensational lippie (in Peachy Scene, from the May BDJ Box). It comes in the same dark red cover and silver bullet, with the shade name and number at the bottom. I am still a big fan of this packaging, even if the red cover is just sturdy plastic. 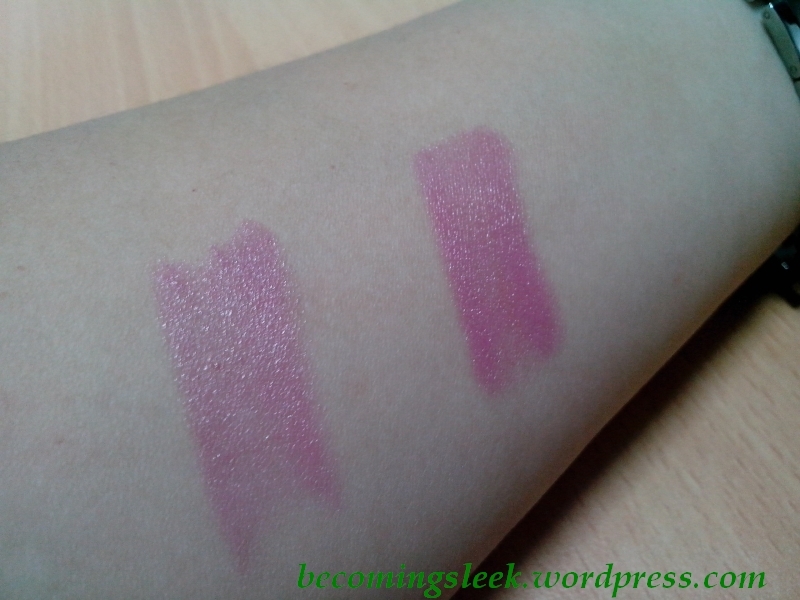 Here is the swatch on my arm, one layer on the left and two on the right. As you can see, it’s a little buildable, but not much. Unfortunately it looks a little weird on my lips. 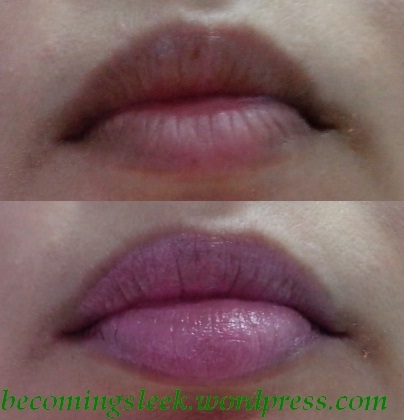 As this is a lighter pink and leans on the neon side, it pops out in a bad way on my darker lips. The formula is still good though, and it doesn’t dry out my lips. This would cost the same as the Peachy Scene one, at Php399, and can be bought in major supermarkets and drugstores. Before I begin I would like to say that I was honestly not looking forward to this month’s box, primarily because I was bumped to September when I originally subscribed to the August box. As August was my birth month I was really holding it as special. Imagine my huge disappointment when I received the message. 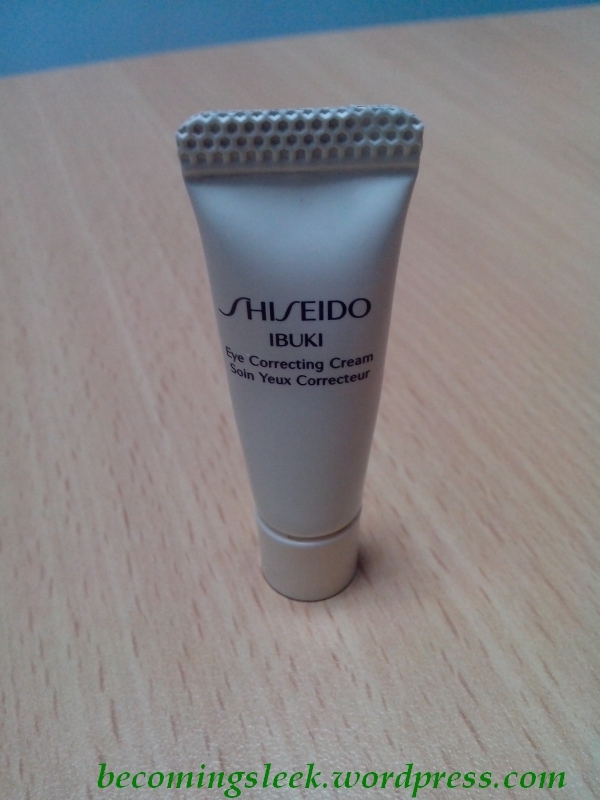 Imagine my Double disappointment when I found out what the August box was (Shiseido Ibuki exclusive). So I was not really eager for this (because how could it trump a Shiseido box?! ), and was triply disappointed to find out the theme. September’s theme is “Luminiscent Beauty” and as the name suggests, it has something to do with fairness and whitening. I am totally uninterested in whitening as I am quite content with my skin tone so most of this box was very underwhelming for me. However, I would like to still show you what is inside this box. 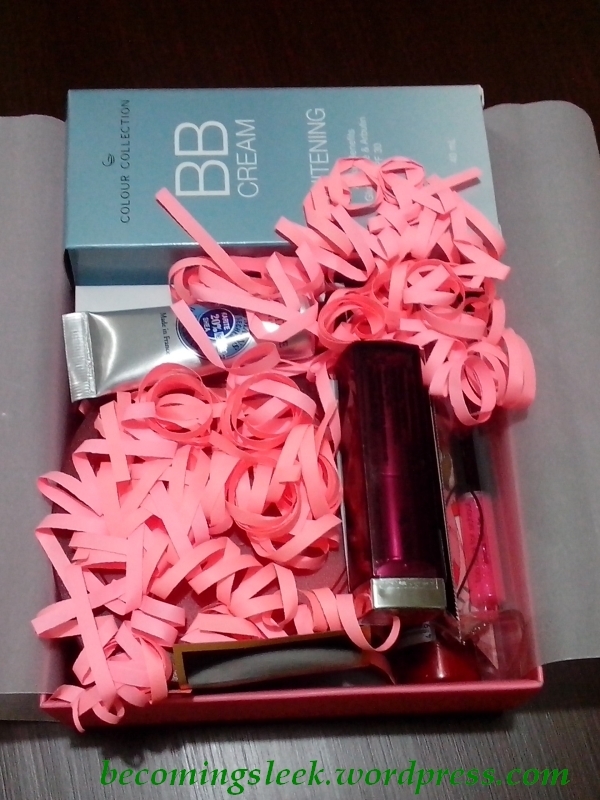 September’s box is the standard BDJ black-and-pink box, but this one was a little thicker than usual. 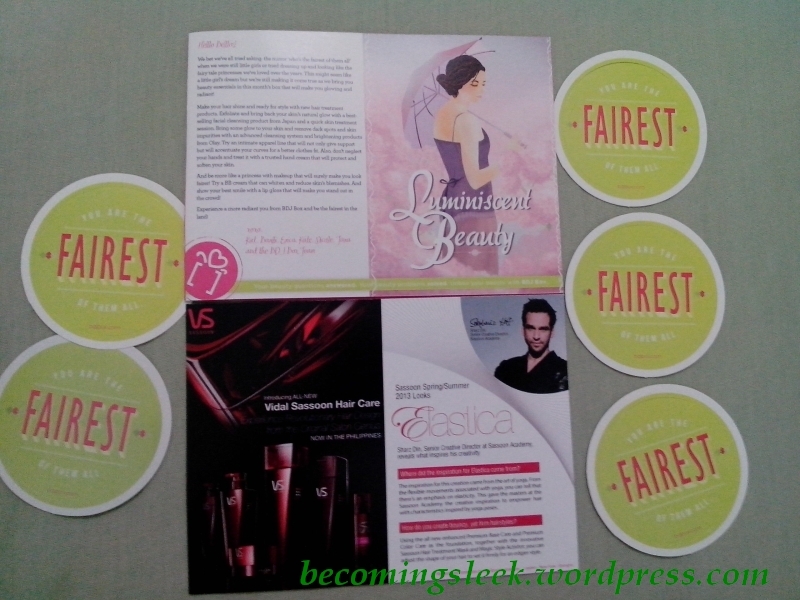 We are greeted by the welcome cards as well as this month’s sticker (“You are the fairest of them all”). You can see the front, insides, and the back parts of the welcome cards as well. Upon opening we discover the reason why it’s thick. The box is fully packed, and was double decked that it protruded beyond the height of the box’s bottom. Let’s go over the products in order that it appears on the welcome card. 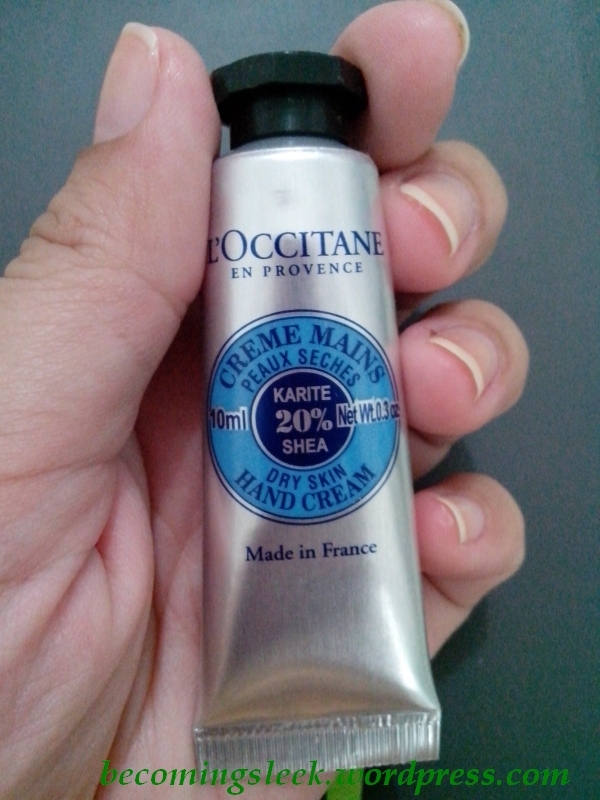 First up is L’Occitane Hand Cream. This tiny tube of hand lotion is enriched with 20% shea butter and other ingredients that will protect, moisturize, soften, and replenish skin. I have only started using hand lotions (right now using Evas Vitamin Hand) and I can see myself using this at some point. It’s a tiny tube so definitely this is portable. 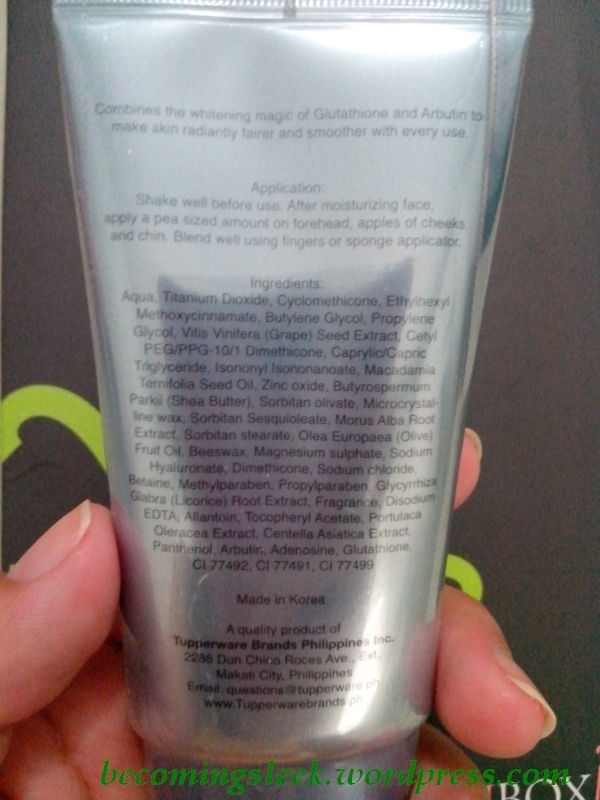 This 30ml tube costs Php300. 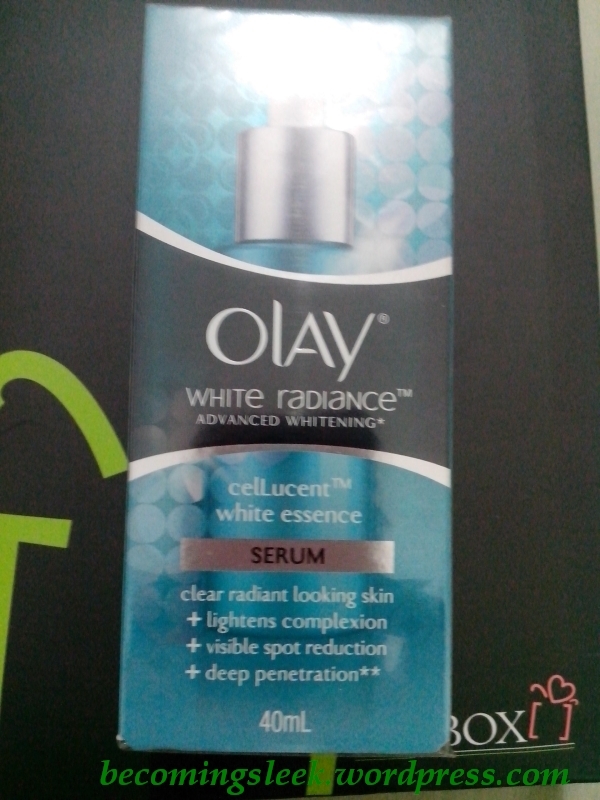 Second in line is this Olay White Radiance celLucent White Essence Serum (whew!). It’s one of the things in the bottom layer so you weren’t able to see it in the photo above. 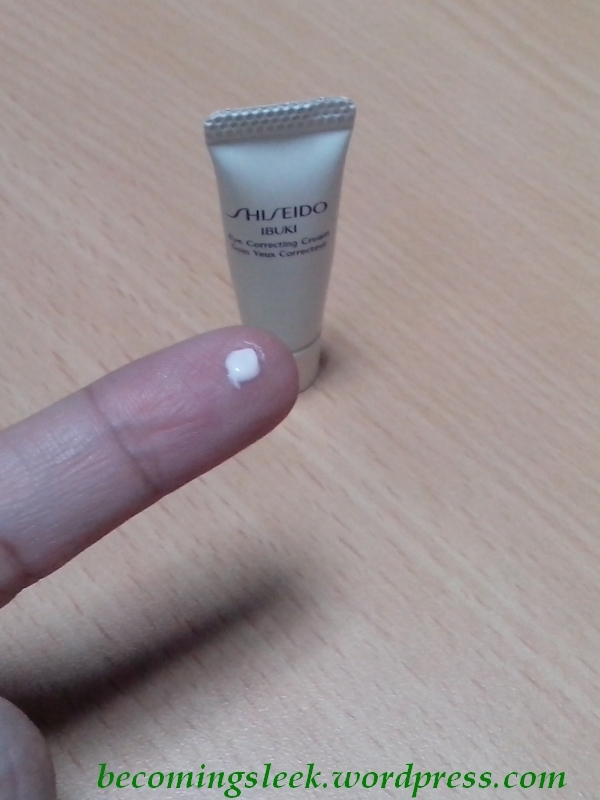 Unfortunately this is one of those items that go for the whitening angle, although this one supposedly targets spots. 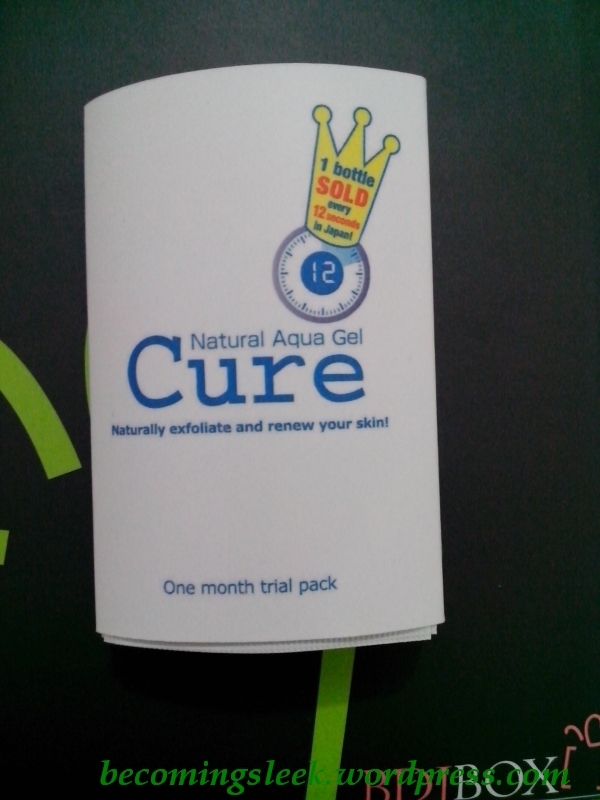 This is not one of my skin problems so this shall remain unused or will be given away. This full sized 40ml bottle costs Php1499. 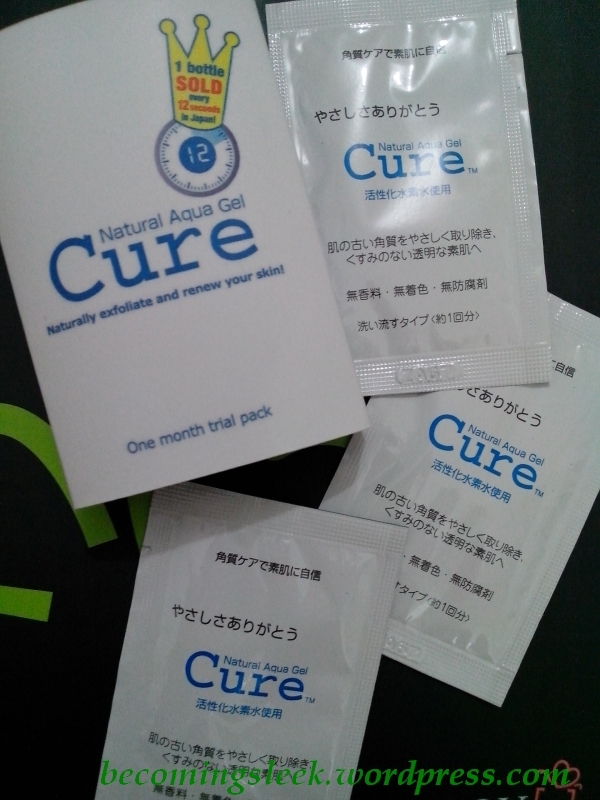 Next we have about ten sachets of Cure Natural Aqua Gel. There are a lot of raves about this exfoliator online, and I had regretted being unable to grab samples from Sampleroom, so I am actually glad to receive this bunch of samples. It claims to be a month’s supply of product, so I’m looking forward to giving this a try. 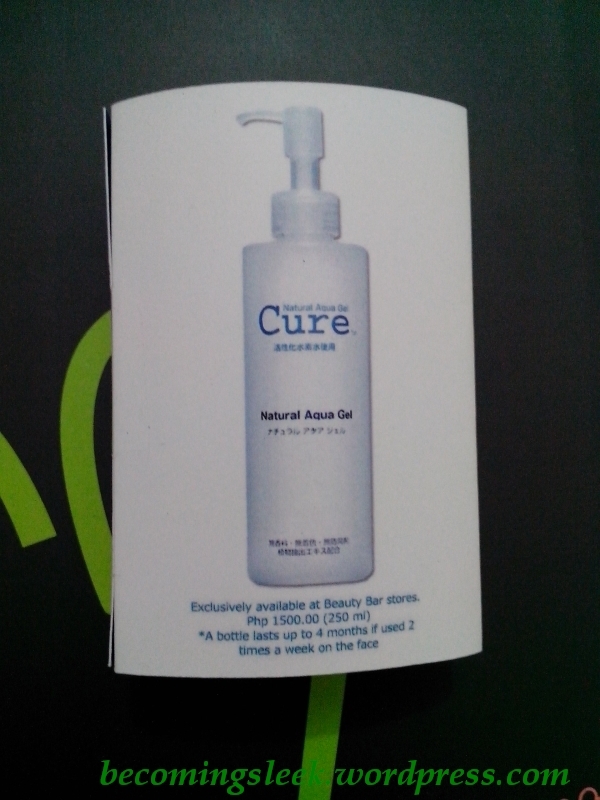 The full 250ml bottle of this costs Php1500 and can be bought from Beauty Bar. 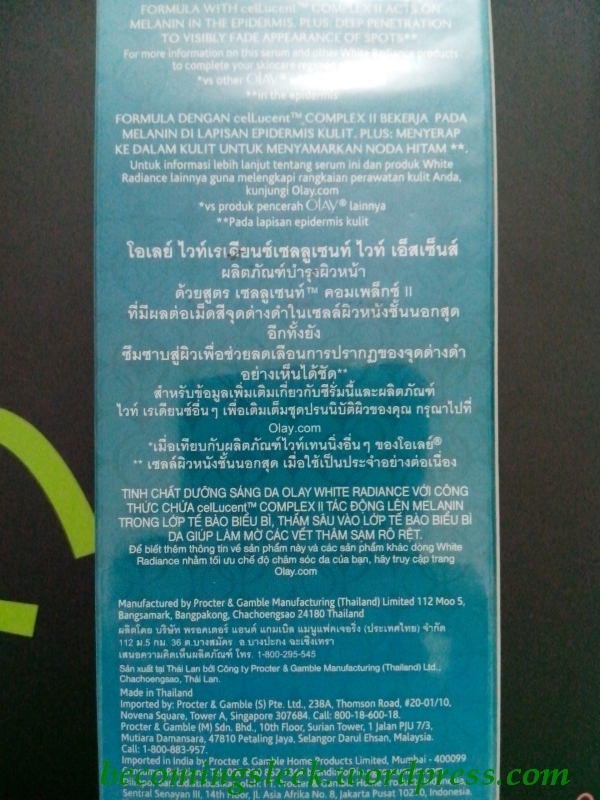 Each sachet contains at most 5ml of sample, so the total cost of the ten-pack is at most Php300. We have one of the top layers in the photo above next. 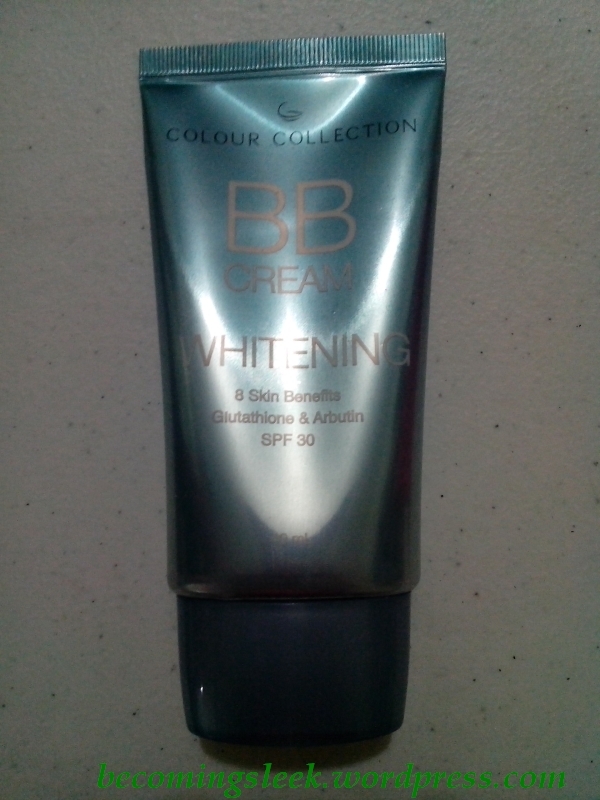 This is Color Collection Whitening BB Cream, and I would have scoffed immediately at this since it is again targeted for whitening. It’s actually one of the reasons I didn’t get a sample of this at Sampleroom, but as I already have it I am not going to pass up the opportunity to give this a shot. 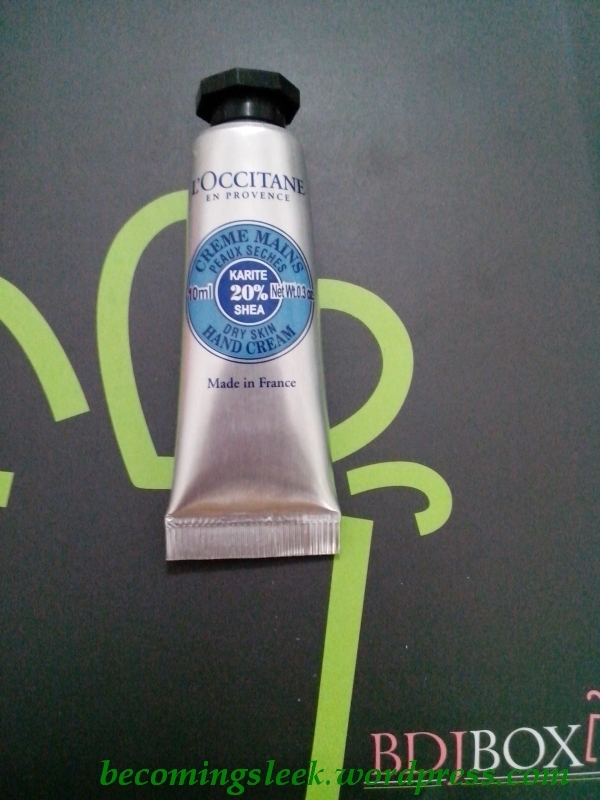 This 40ml tube costs Php499 (which isn’t bad value for BB creams actually). 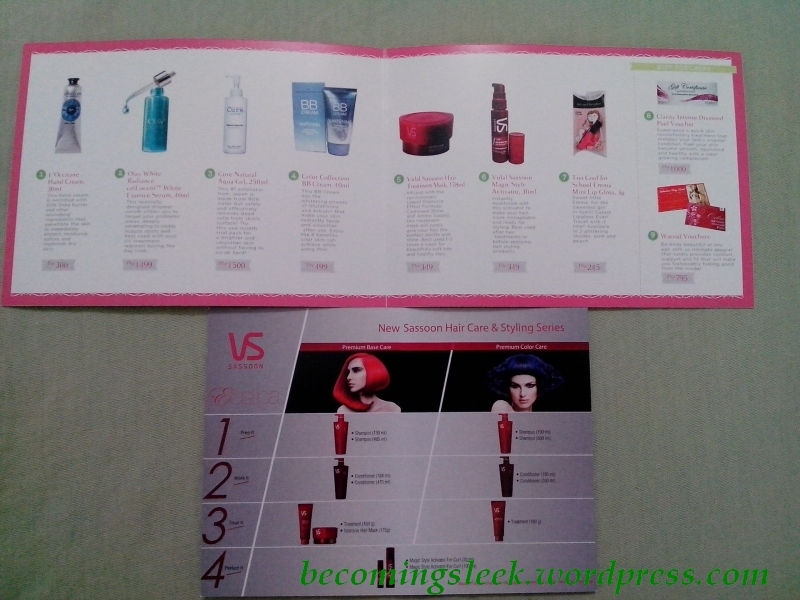 The next two items are from Vidal Sassoon (wow an old school brand!). 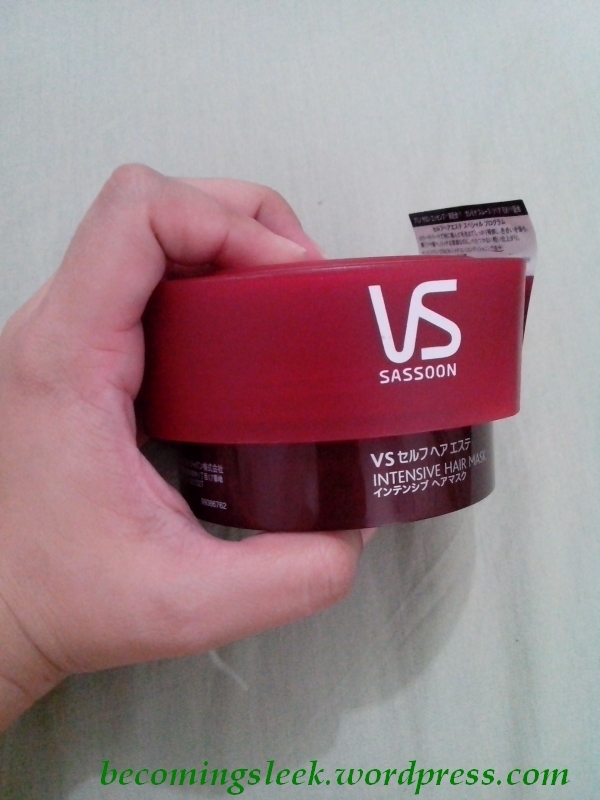 The first is Vidal Sassoon Hair Treatment Mask, which takes up most of the bottom layer of the box. 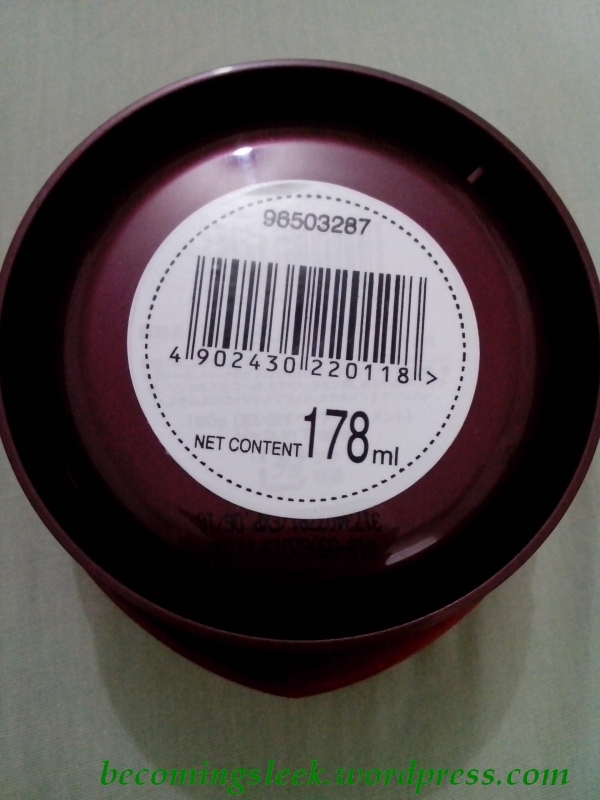 It’s a huge tub, containing 178ml of product, and aims to give hair the perfect dazzle and shine. While I am not against having dazzle and shine in my hair (it can certainly be improved! 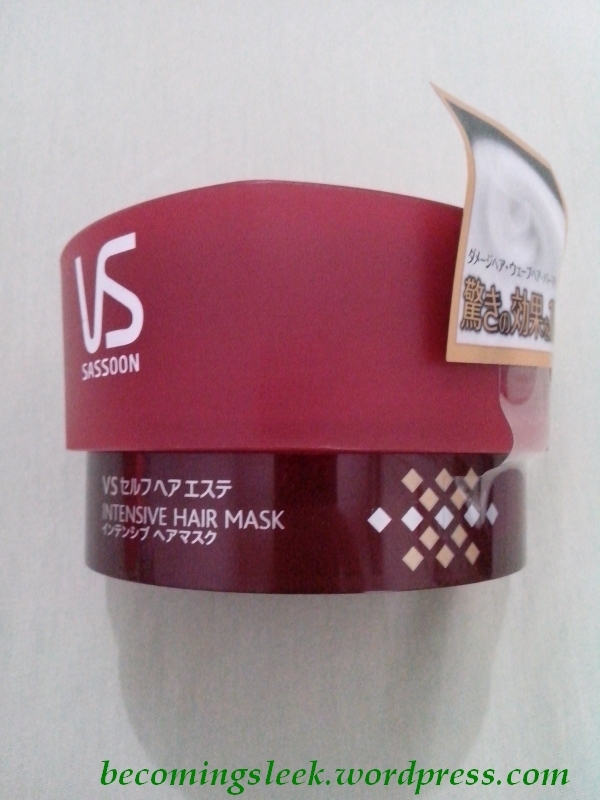 ), I have two tubs of hair mask that I am trying to use up so it’ll be some time before I can give this a try. 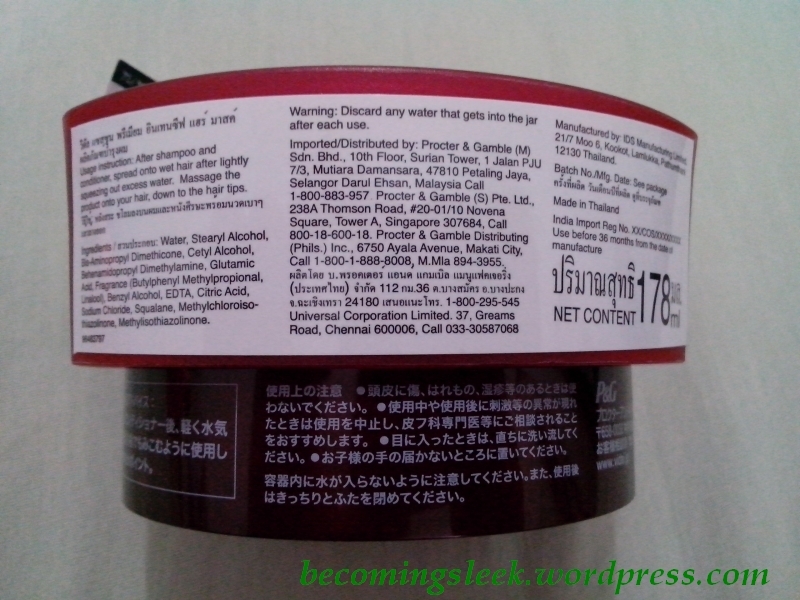 This tub costs Php349. 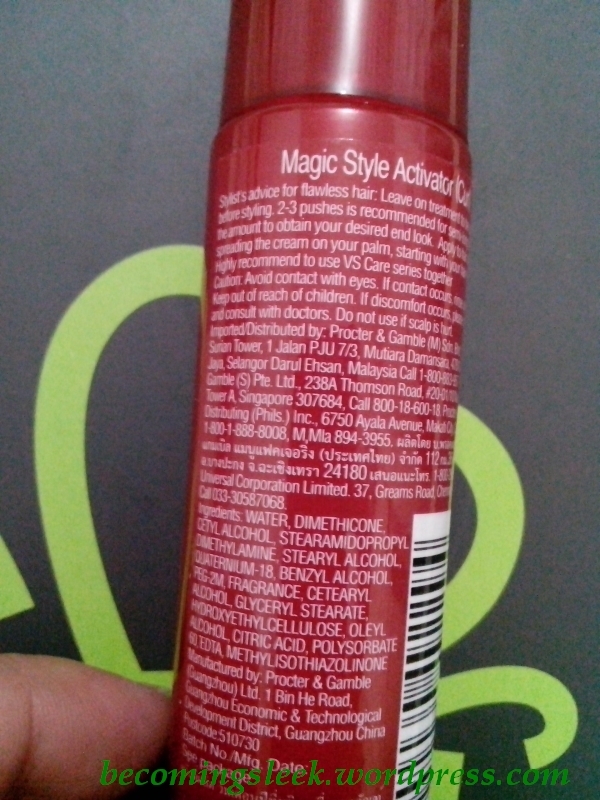 The second is Vidal Sassoon Magic Style Activator for Curl, a hair spray basically to assist in styling. Unfortunately I rarely do anything to my hair more complicated than brushing and either tying it up in a ponytail or leaving it with only a hair clip on. This is another of those items I wouldn’t be able to use. This one costs Php349 too. 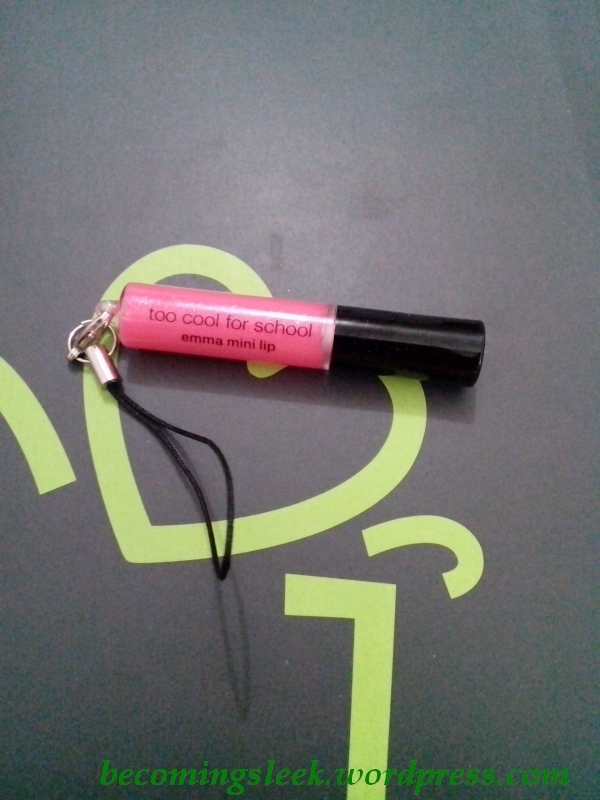 Lastly we have Too Cool for School Emma Mini Lip Gloss. 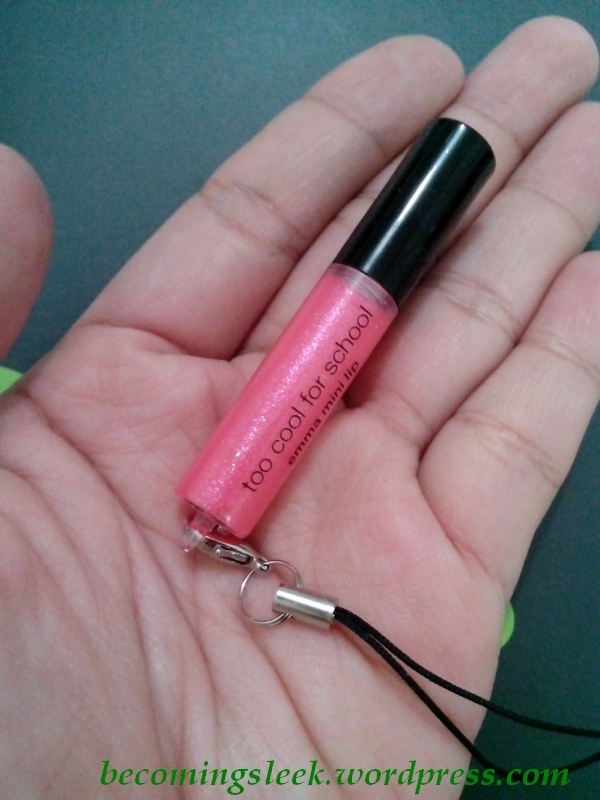 It’s a very portable gloss, and honestly seems too cute to use. 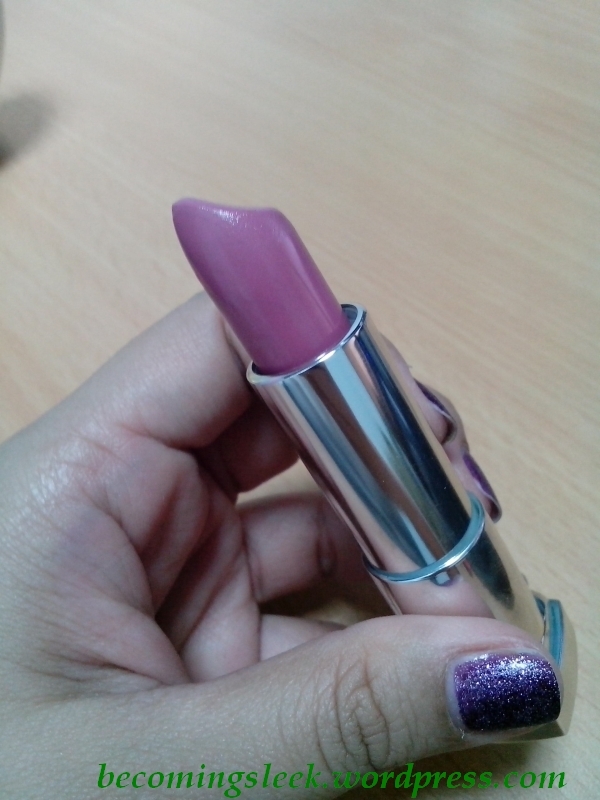 It will probably join the ranks of the lipstick samples from Avon and Tellie’s mini polishes and lipsticks. 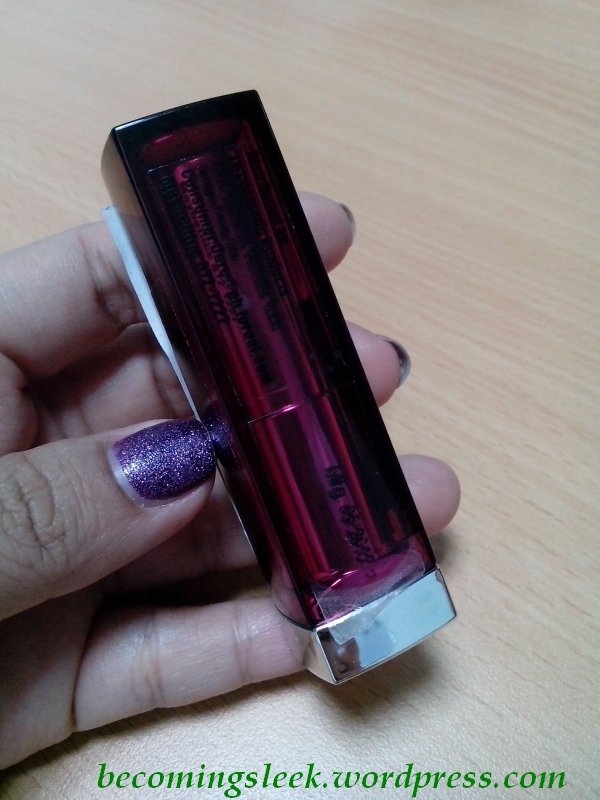 This tiny 3g tube costs Php245. Again BDJ has this idea that vouchers are a big part of the box, but I tend to disagree. 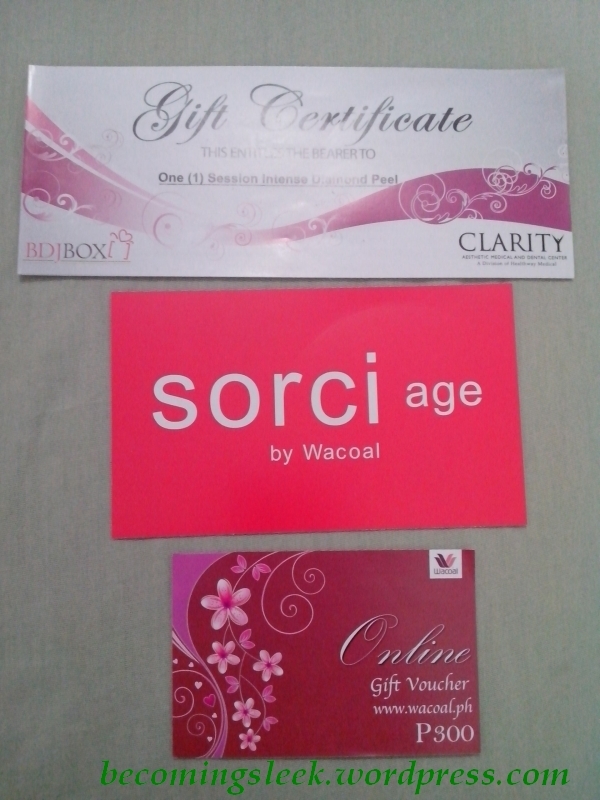 However for the sake of presentation, these vouchers are Clarity Intense Diamond Peel Voucher and Wacoal Vouchers. The first is actually a direct freebie (no purchase required), so I may go out of my way to redeem it. It has a value of Php1000. 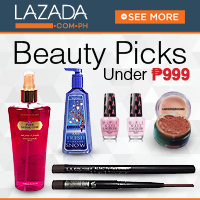 The other two are discount vouchers for specific Wacoal products, totaling a value of Php795. The only problem I have is that Wacoal bras aren’t friendly to my rather problematic bust. I’ve gotten cut and abraded skin from the wires in their bras, so I am not really that eager to try this out. I’ll probably pass this on to someone who uses Wacoal. BDJ Box actually included a freebie in this box as a recompense for bumping me over to September. I chose the lipstick option (the other one was mascara, I believe) and received this Maybelline ColorSensational lipstick in the shade 135 Make Me Pink. It’s a really odd shade of pink (almost neon) and looks a little weird on my lips. I’ll put up some swatches soon. 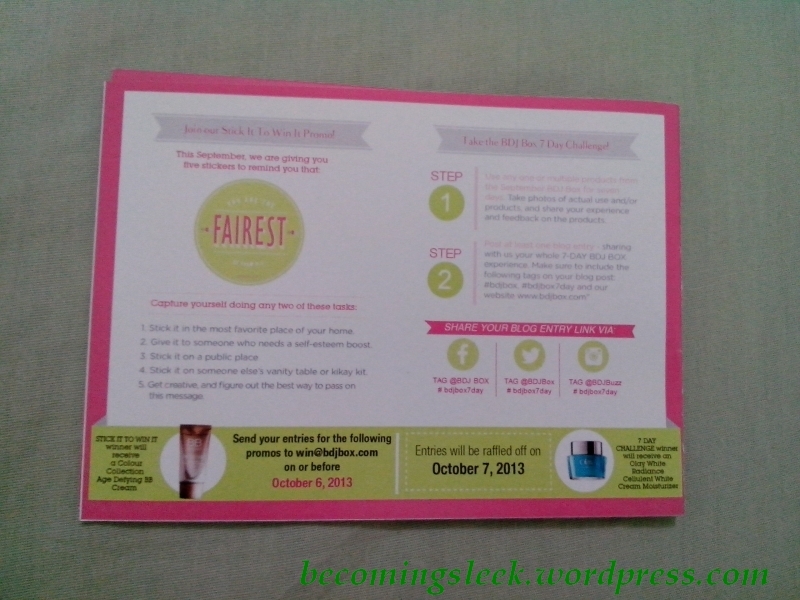 My impressions of the September BDJ Box: I’ve pretty much expressed what I thought of this box. I really can’t help but compare it to the other box that I might have gotten (August – Shiseido Ibuki exclusive), and clearly this one pales in comparison. I would much much rather have had the chance to try out the entire Shiseido Ibuki range, than to have received items that are not in my interest at all. 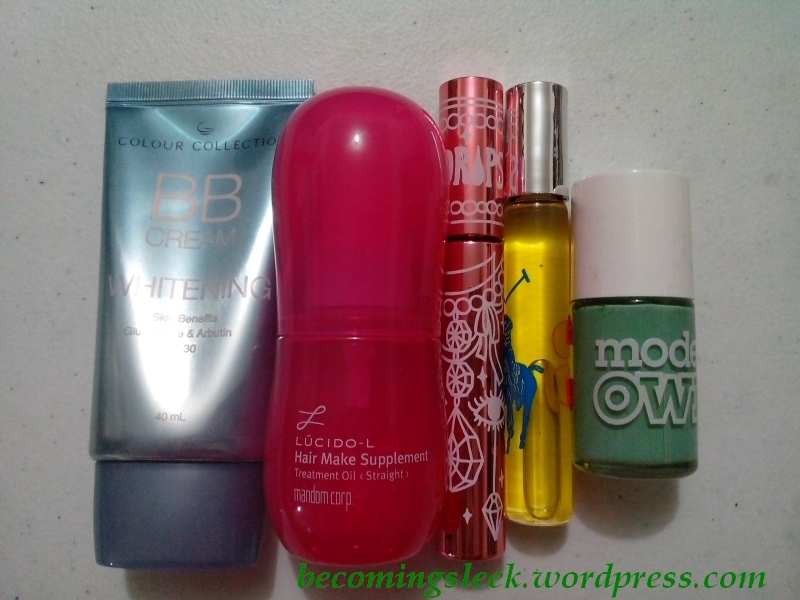 Given that though, I did get some items that I am interested in trying, namely the Cure Aqua Gel and the Color Collection BB Cream. 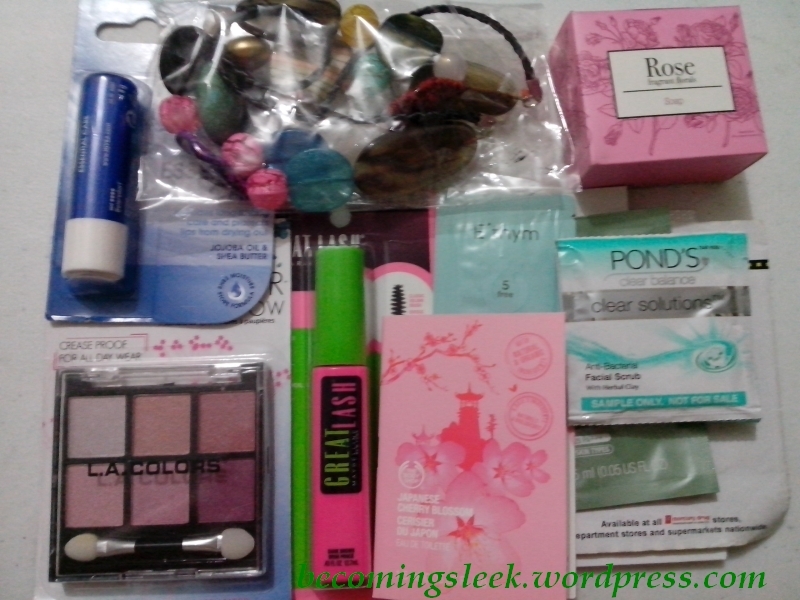 Value review: The total value of this box is around Php3500, excluding the voucher values. This seems like a pretty great deal, considering I only paid Php580 for the subscription. 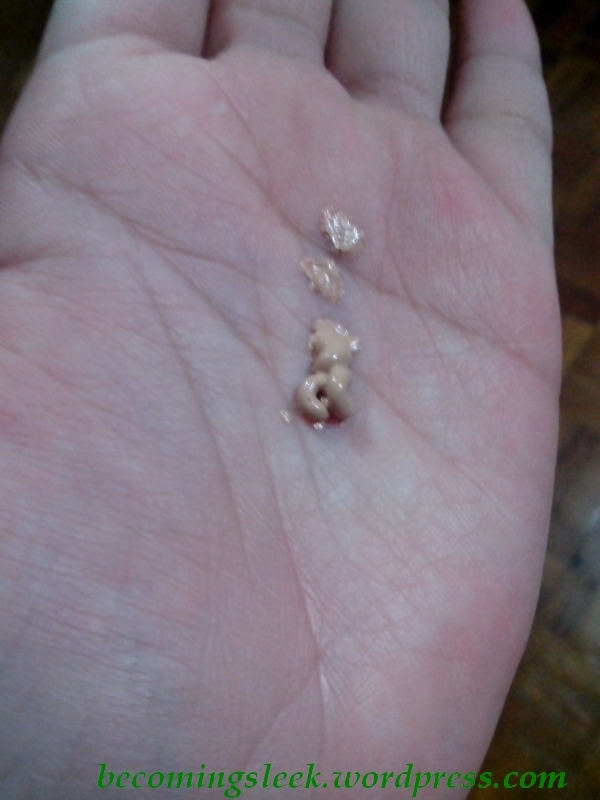 Looking closer at it, the bulk of this is in the Olay serum which I am not at all interested in trying. The value of the two things I really wanted to try only comes up to Php799 which I guess is still more than the subscription price. 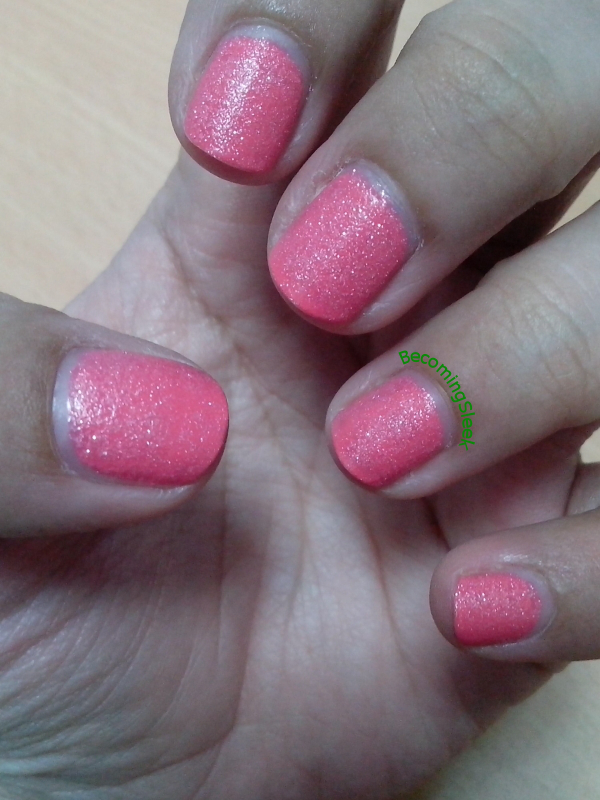 One of the nail polishes I bought in my massive August haul is this awesomely summery Girlstuff nail polish: Joanne. It’s another shimmer polish but it seems that the bottle looks slightly different from my first Girlstuff shimmer polish Nina. It also costs Php140 and can be bought from any Girlstuff kiosk. How can I describe Joanne? 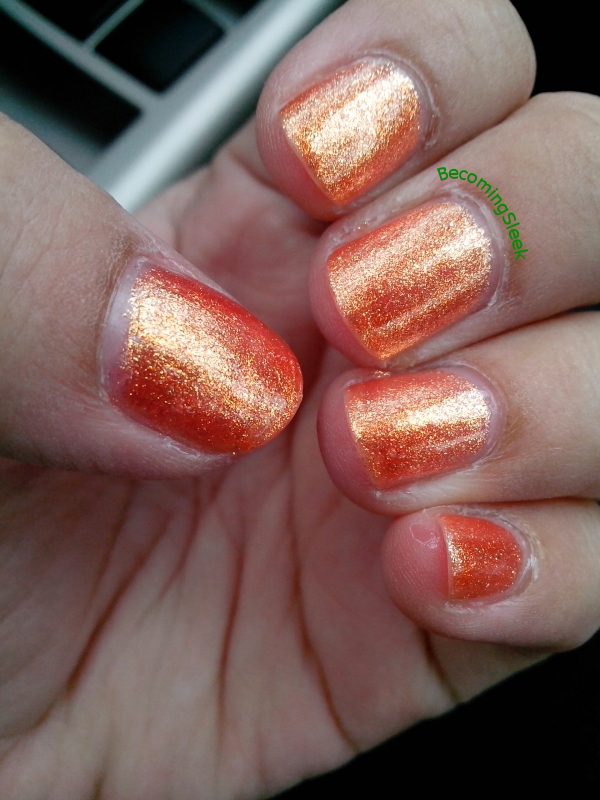 It’s a sparkly metallic orange shade that is slightly holographic. It is very similar to how Nina performed, and seems to change its appearance depending on the lighting. 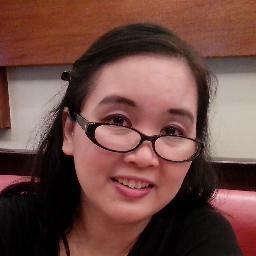 Here is how Joanne looks like indoors. 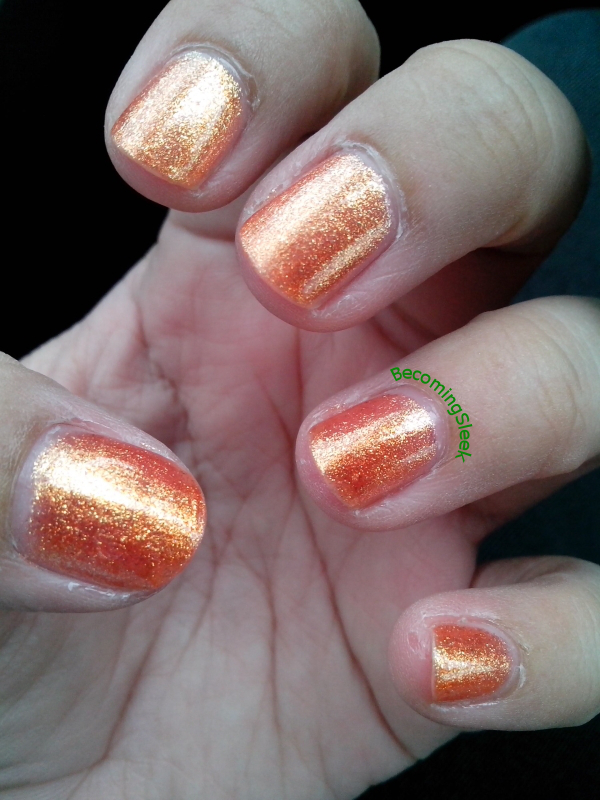 Notice how muted the orange looks, although the shimmer is pretty evident. Check out how it looks outdoors. The metallic is more noticeable here, and that orange just jumps right out at you. However on a different angle, it seems like it’s a deeper shade of orange! I really love how moody this polish is. And again, a more muted orange. Very interesting effect! Again there is that single drawback to this polish: the very strong smell! But I would love to try other shades, and maybe try a non-shimmer polish next time. Congratulations, Ma. Clarice Lao-Itumay! You won this giveaway! Kindly check your email! 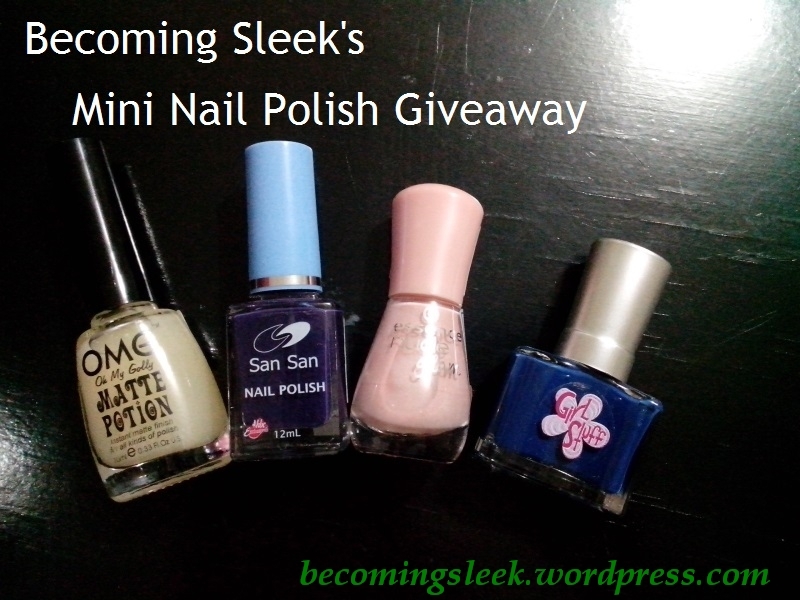 To celebrate some milestones achieved by Becoming Sleek, I’m giving away this tiny set of nail polish from the different brands I’ve tried and loved. This will be a quick giveaway (runs only for about ten days!). One winner will receive the following items. I’ll throw in some extra surprises too! So how do you win? Just follow the steps provided in the rafflecopter widget linked below. Take note that the first three steps are mandatory, and not fulfilling those will disqualify you from winning. Make sure to read and follow the rules stated below. Contest runs from today until September 26 midnight Manila time. The winner will be randomly drawn using Rafflecopter. I will be announcing the winner on this blog as well as on the Becoming Sleek facebook and twitter pages once I evaluate the entries, and will be notified through the provided email address. She/he will be given 48 hours to respond after which I will draw another winner. Readers 18 years old and above are allowed to join. I will ship the prize to the winner using 2GO. Philippine addresses only! Check back daily, some of the entries can be done everyday. UPDATE: I moved the deadline by 1 day, as I forgot to link the Rafflecopter widget. Big thanks to Shayne for the heads up! Good luck and thank you so much for following! 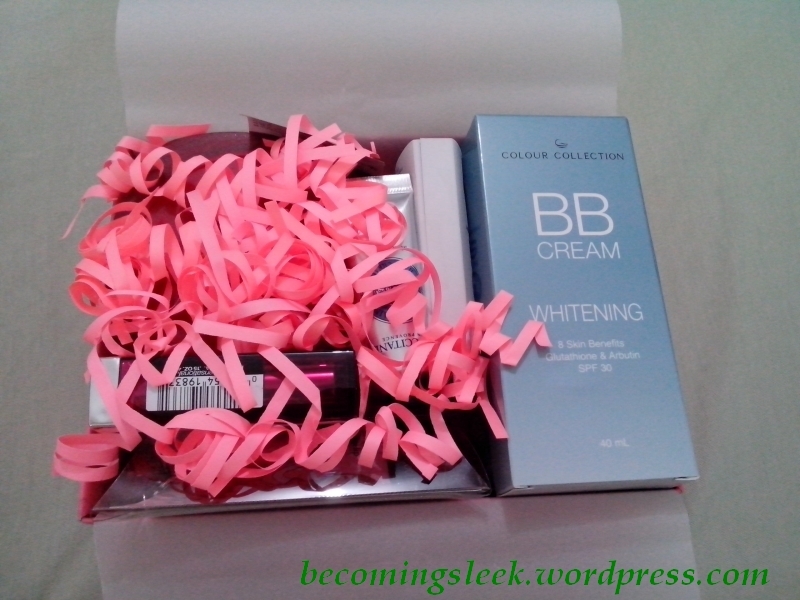 One of the things I got from the BDJ Elite Box Girls Night Out is the Revlon Photoready BB Cream. I’m a big fan of BB creams as they are very versatile and multifunction as well. 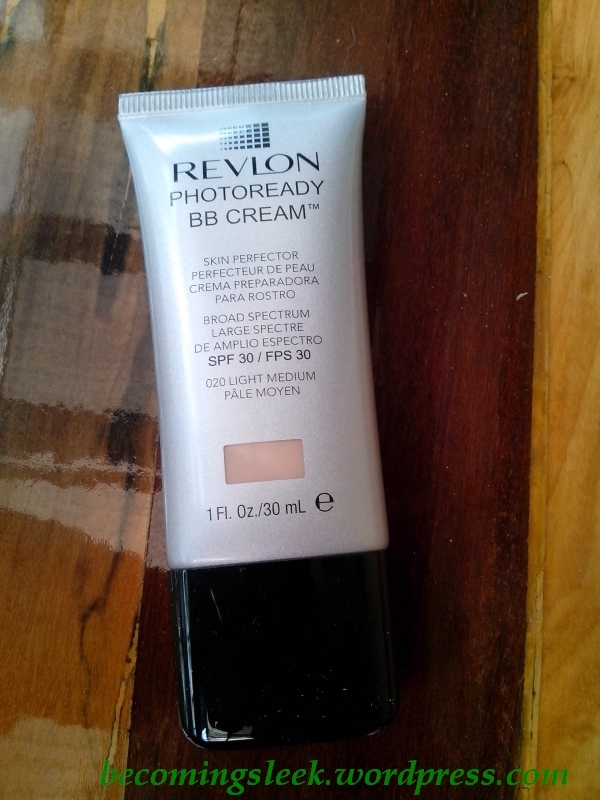 This Revlon BB Cream is no exception, as it has SPF 30 and also claims to be a Skin Perfector. Let’s see this baby in action. 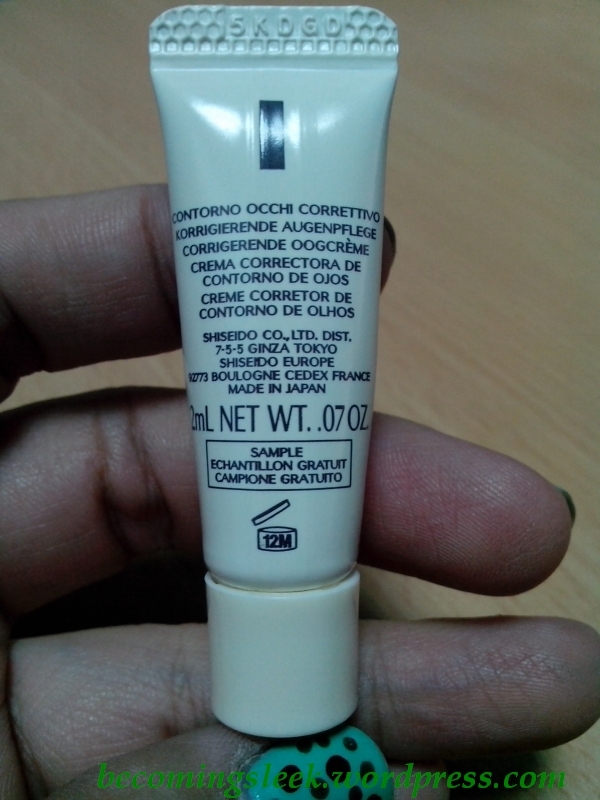 This tube comes with 30ml of product, and has a twist cap and spout system that many BB creams have. It dispenses with a squeeze and you can control the amount that comes out. It’s not runny at all, but is not the thickest BB cream I’ve seen. I received the shade 020 Light Medium and is possibly the darkest BB cream I have. The good thing is that it actually seems like a pretty good match for my skin tone (which means I have been using the wrong shades of the other BB creams!). 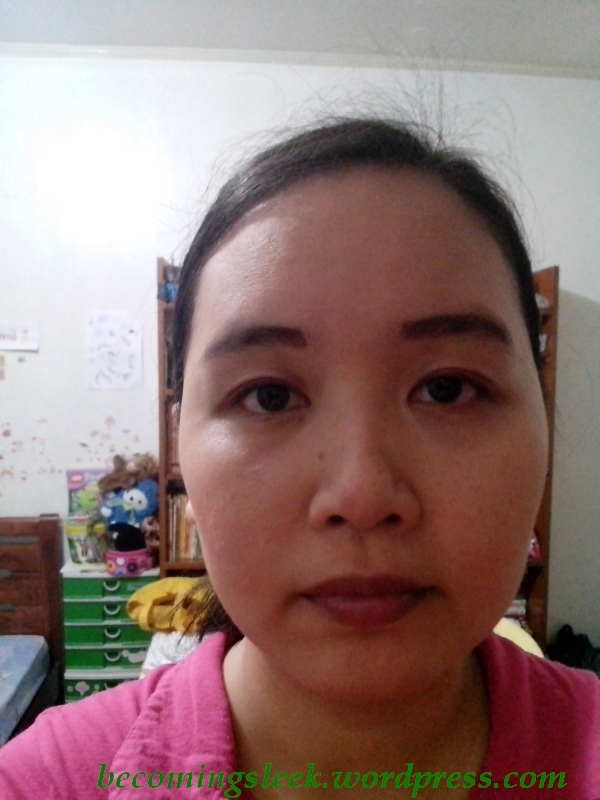 I applied the Revlon BB cream using a foundation brush. There is barely any change from the bare face. This is a sign of good skin tone match! 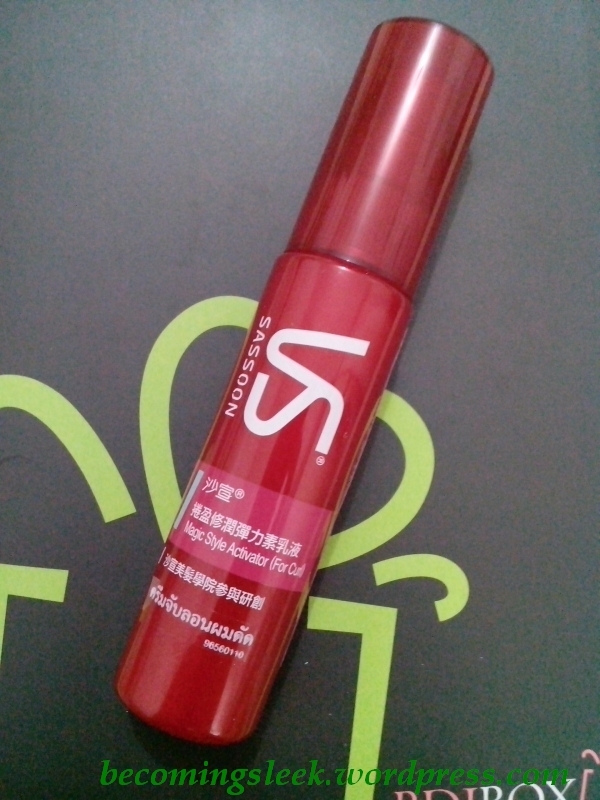 It has good coverage and is able to conceal my nose pimples quite well. It does nothing for the pores however, and I didn’t use a primer here. Here is the complete look. I used my Nichido finishing powder to seal everything in. I’ve so far tried this on twice, and it hasn’t made my skin react.